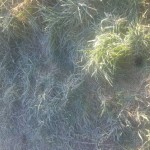 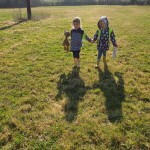 As ever in this country, this term has been a real change of weather, with the warmth of a “false Spring” in February to a rather chilly snap again in March and into April. 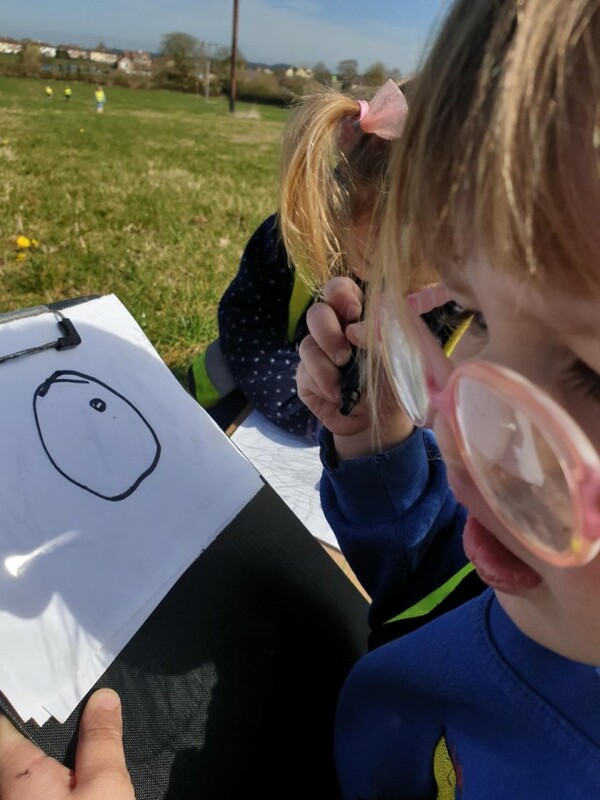 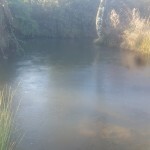 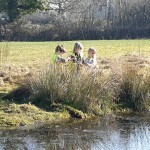 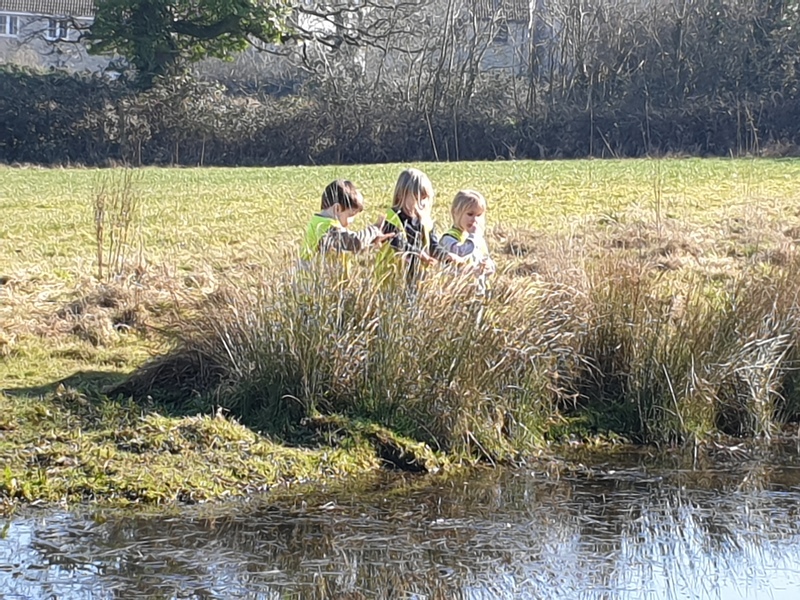 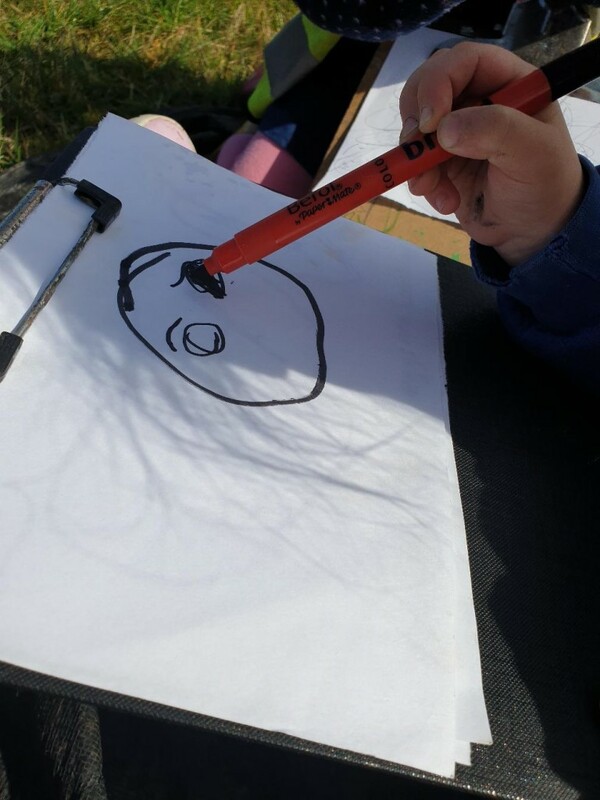 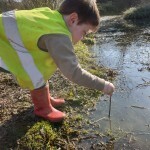 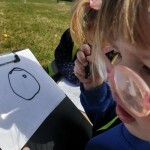 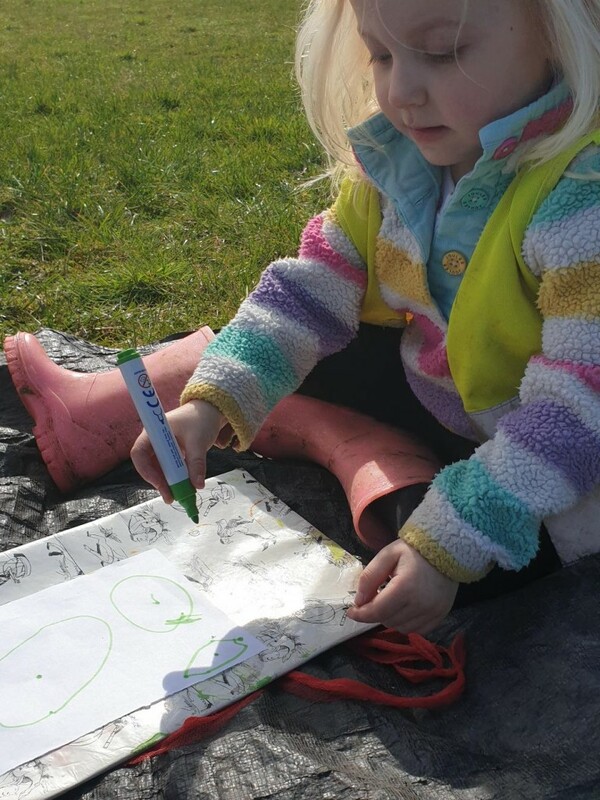 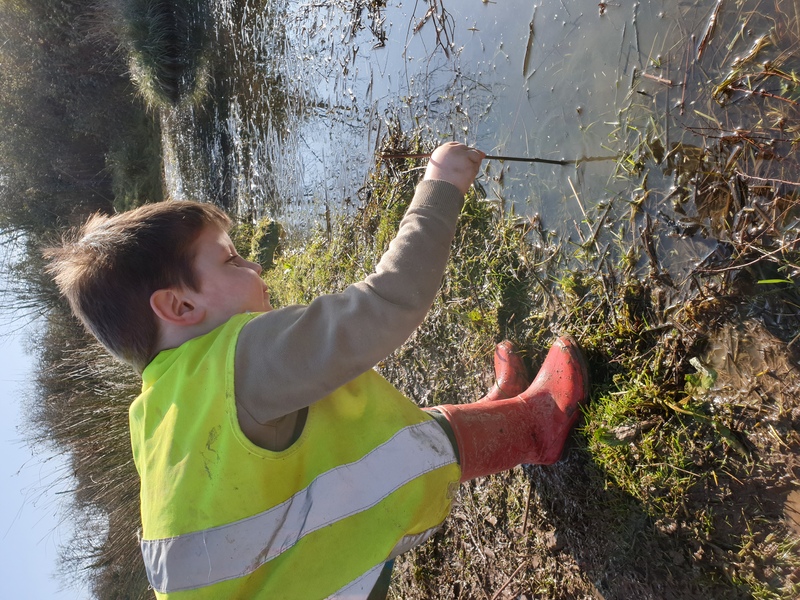 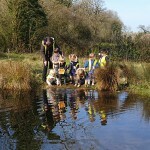 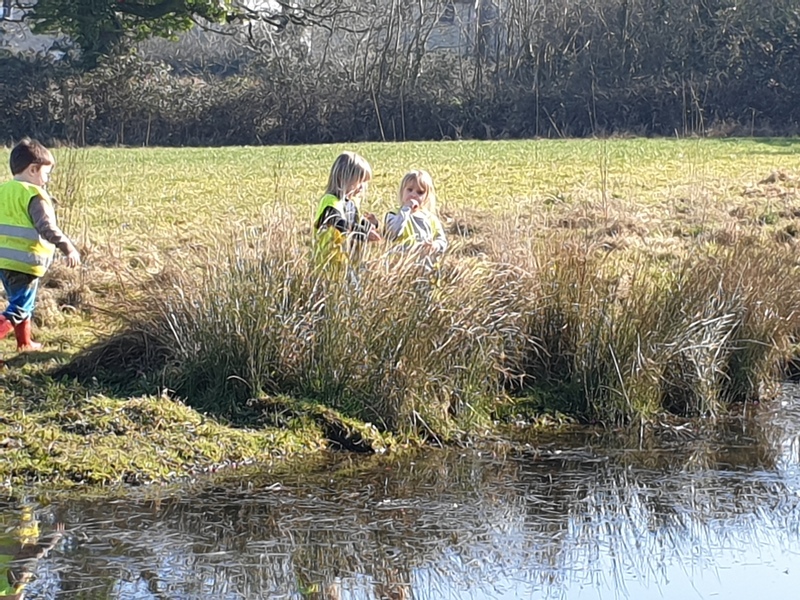 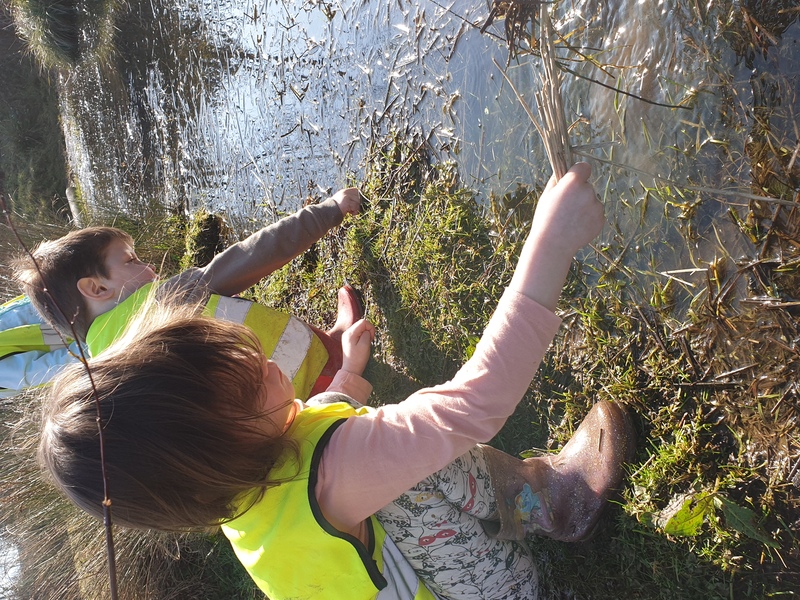 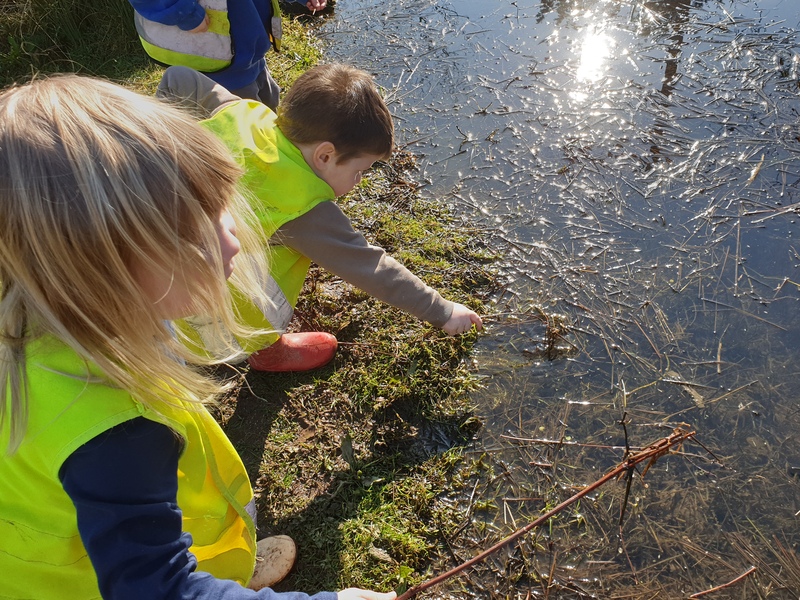 However we still have been able to appreciate the changes of the seasons by noticing features around us: identifying Spring wild flowers and tadpole spotting as well as looking at the blossom and buds that appear on the branches. 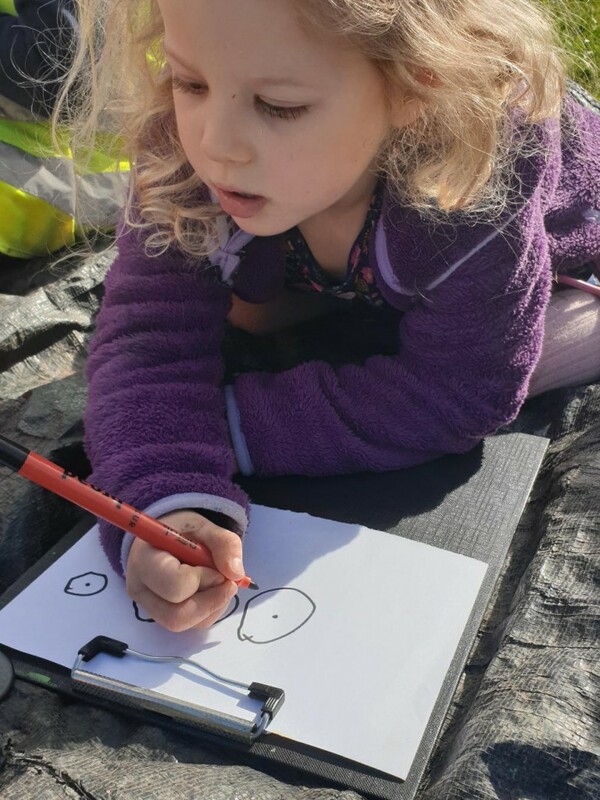 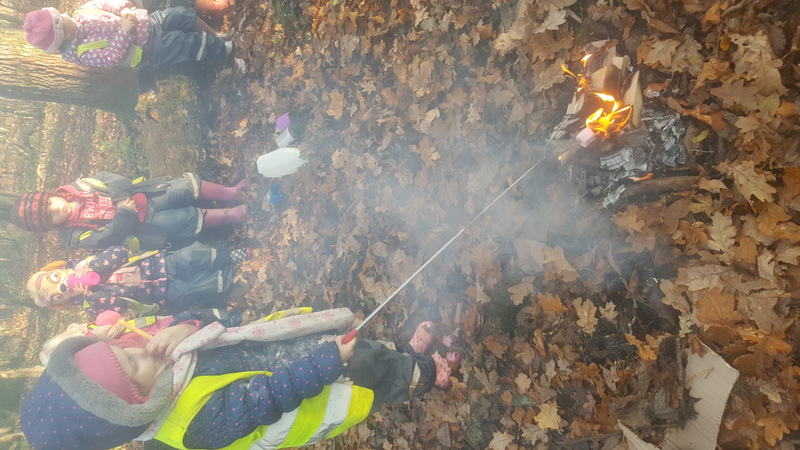 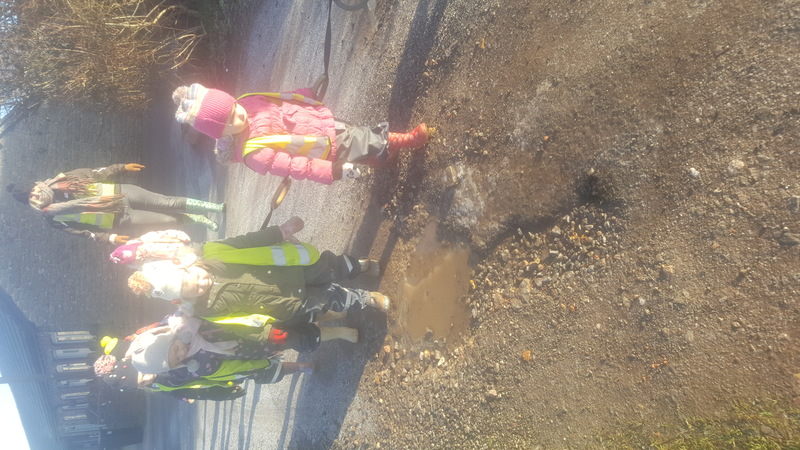 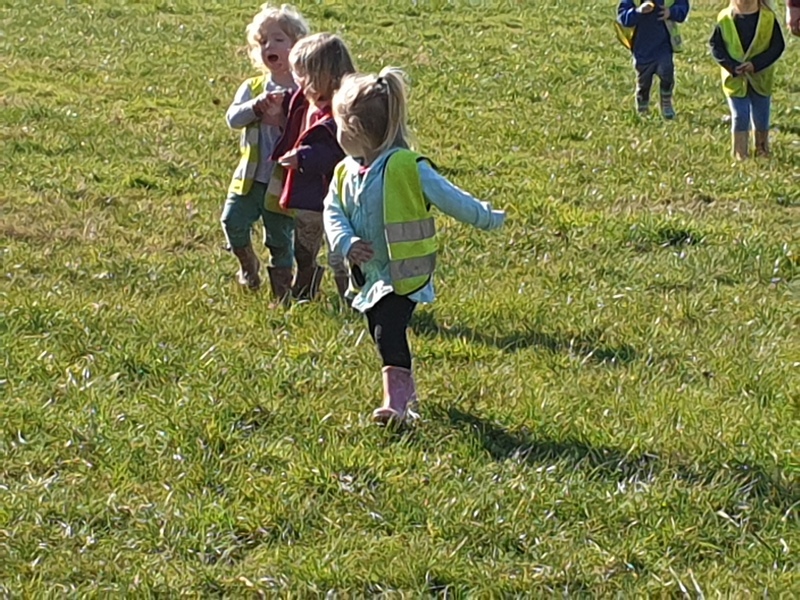 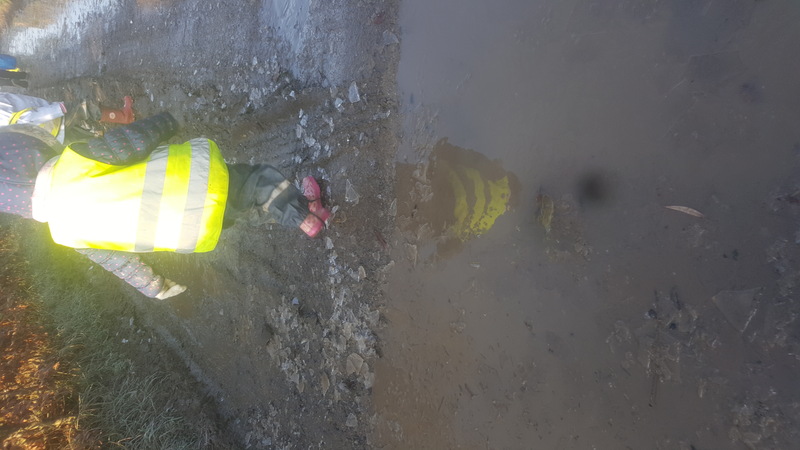 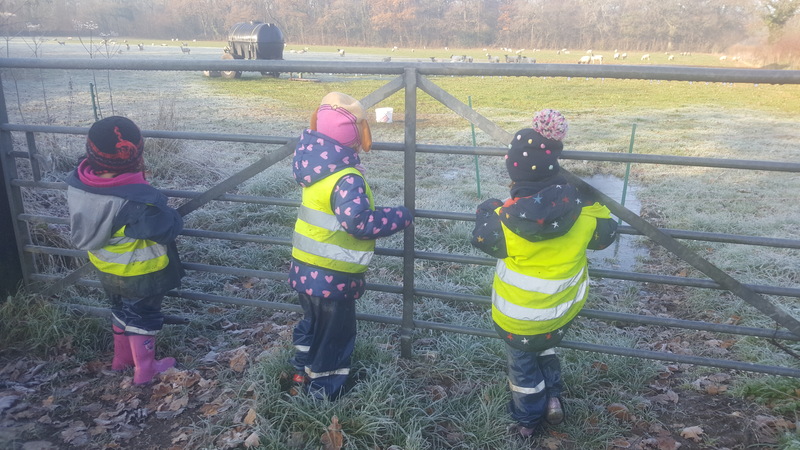 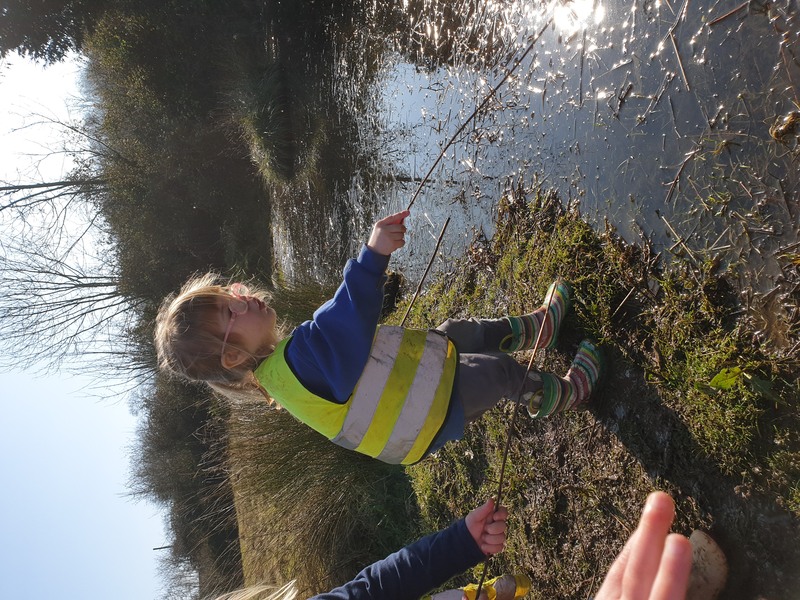 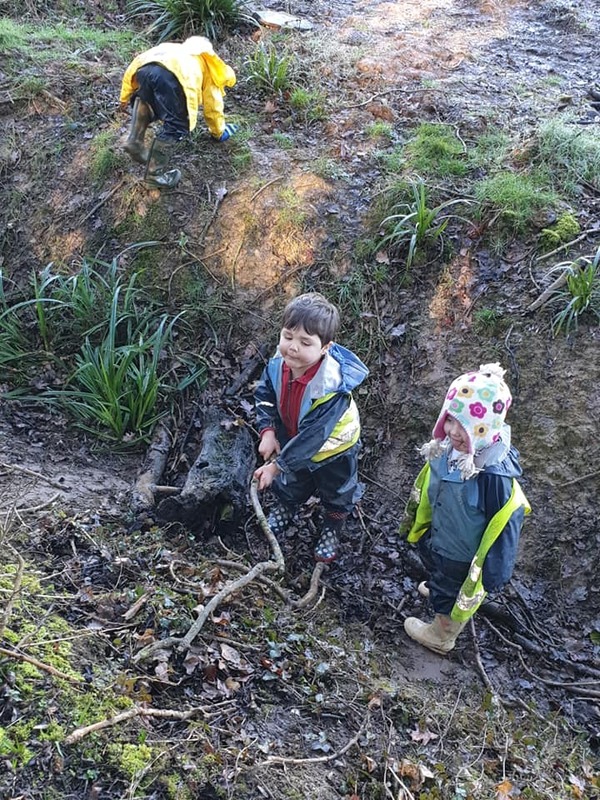 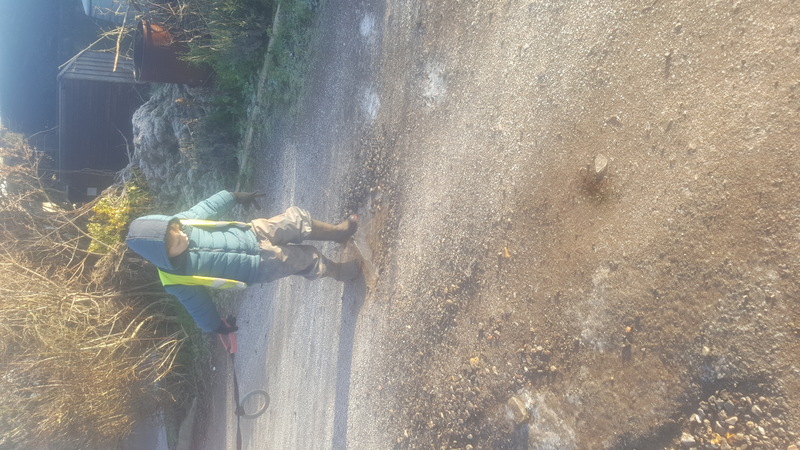 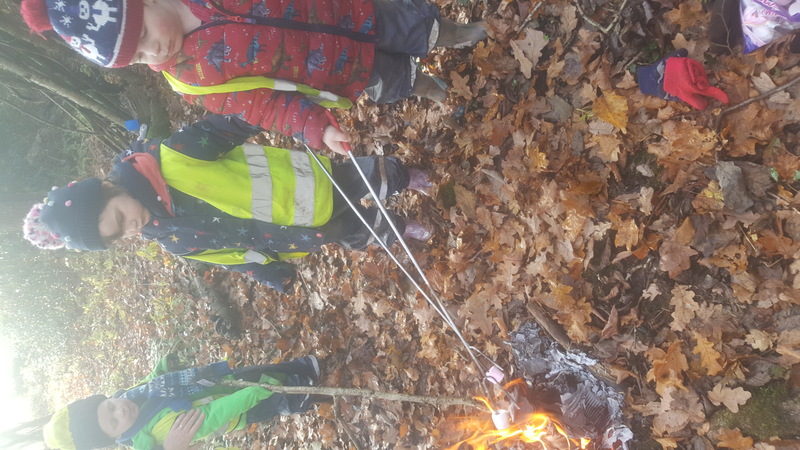 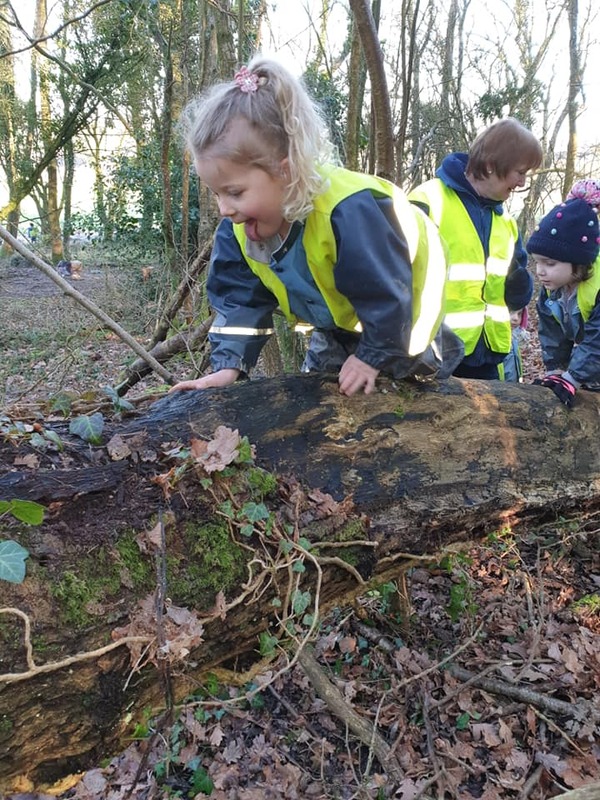 Nature School certainly isn’t just for the older children at nursery as our Rising Stars get just as much chance to test their physical strength out in the Great Outdoors. 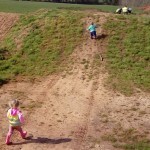 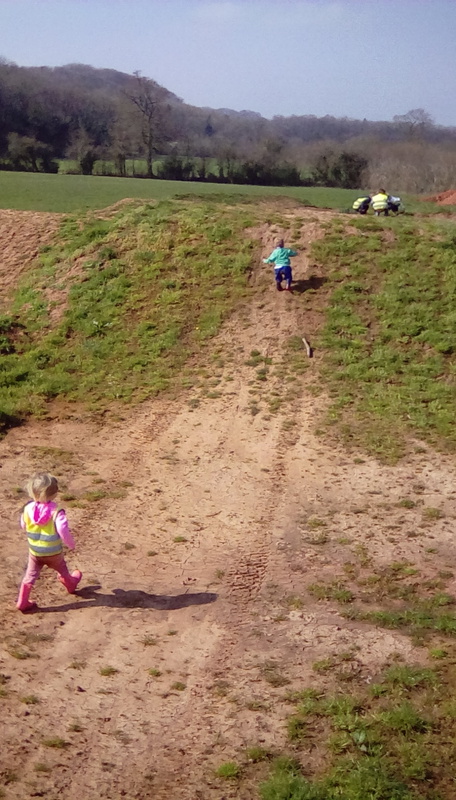 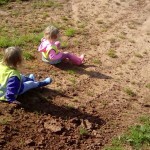 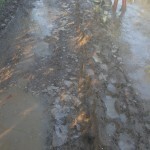 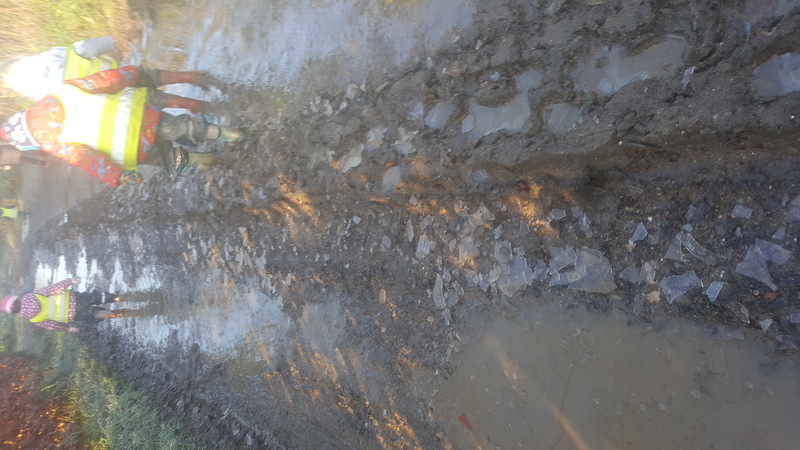 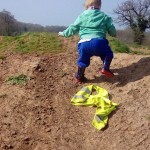 The “hunps” as they are termed, which are a series of mounds created for some of the local teenagers to try out their skills on bikes and motorbikes, provide much fun for all of our children and challenge some of our youngest mobile children. 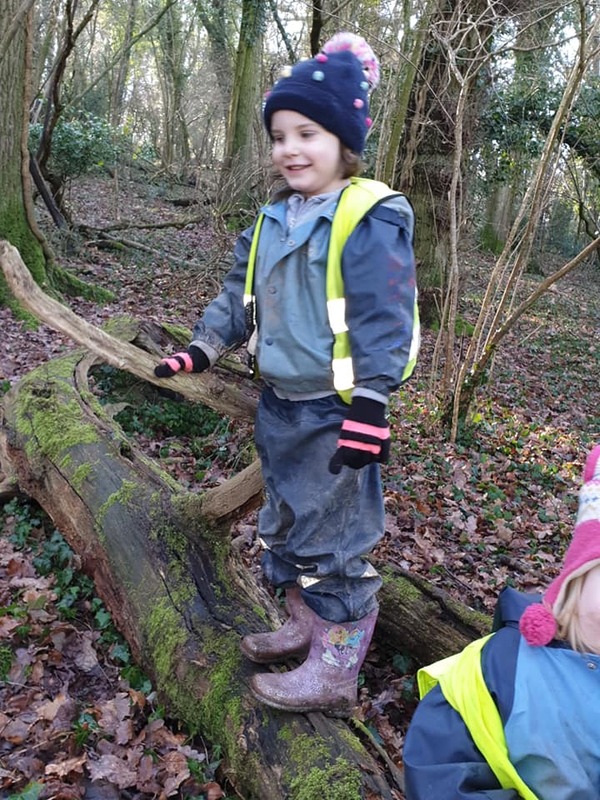 What an achievement it is for them to reach the top of their mountain! 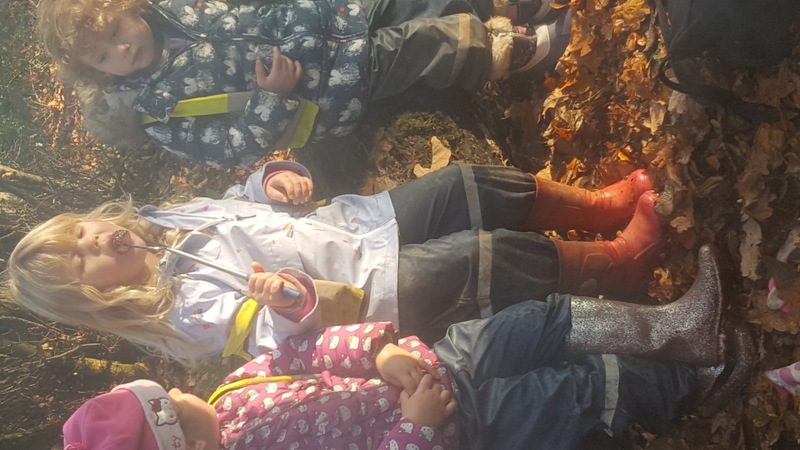 Nature “school” is about learning but this doesn’t have a set curriculum, instead it provides a space to learn about ourselves, to learn our capabilities, resilience, independence, strength in both the physical sense and of character. 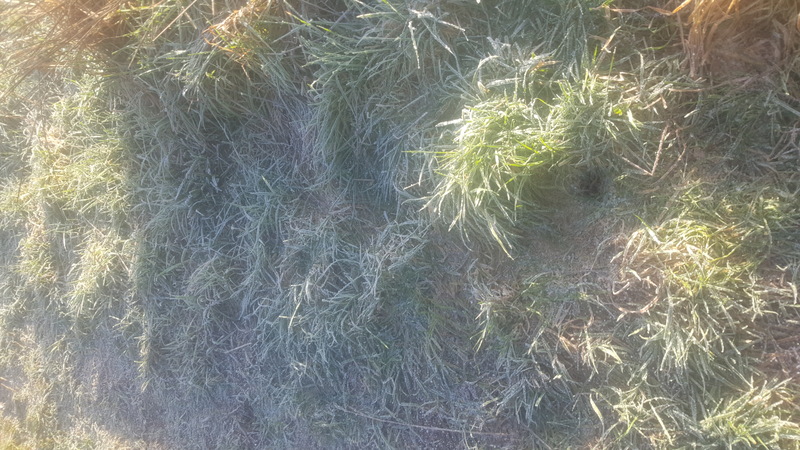 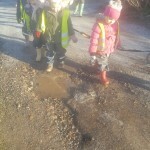 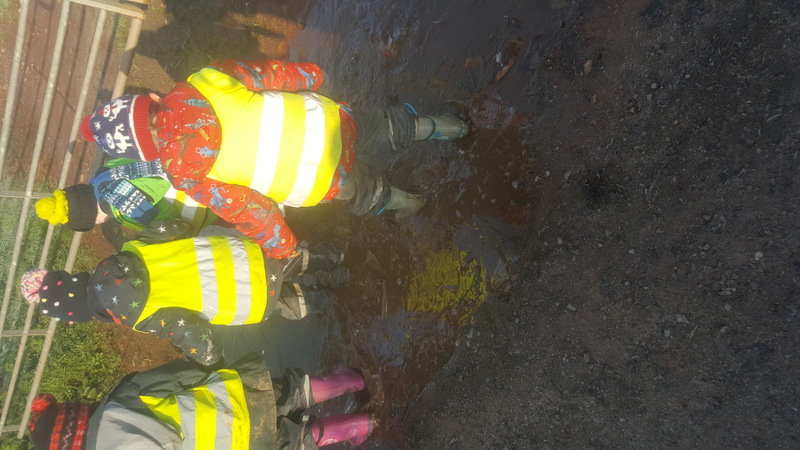 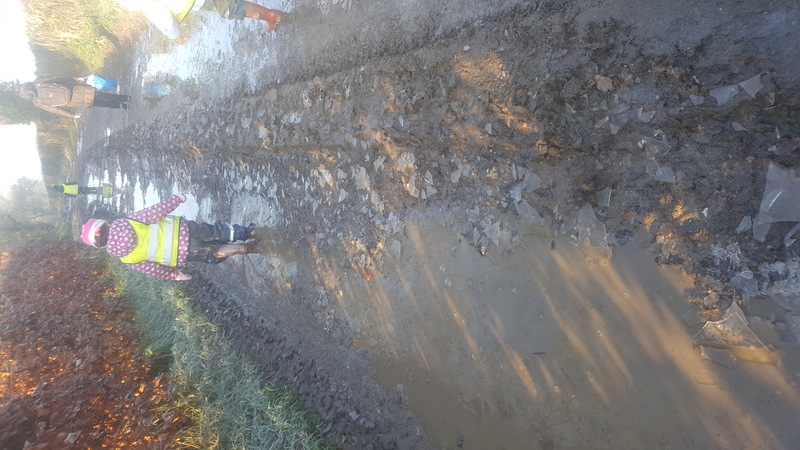 Here the children can learn that if they fall over they can pick themselves back up again; they learn that even if they get cold then soon they can warm up again. 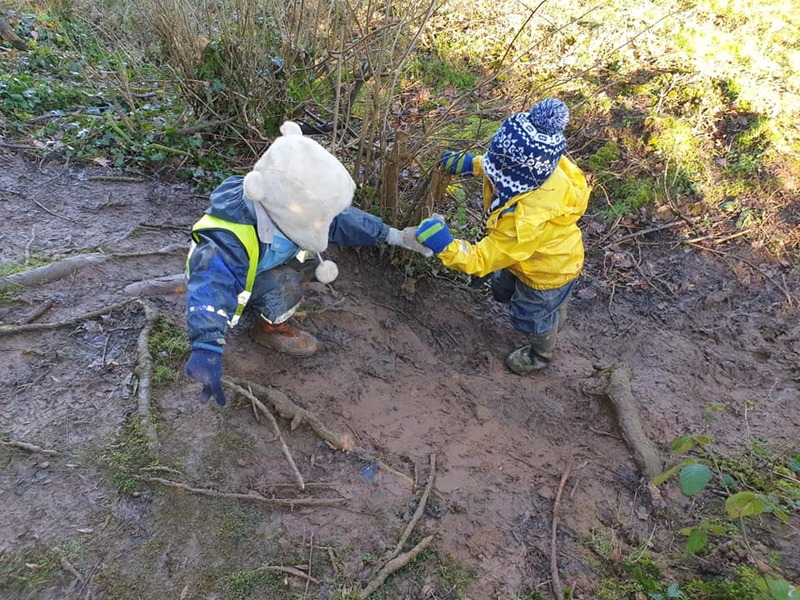 A hill that at first appears too difficult to climb can be overcome with a little help from a friend, or through pure perseverance or trying a different way. 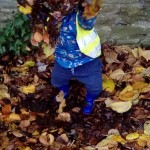 These are the foundations, the skills on which all subsequent learning can be built upon. 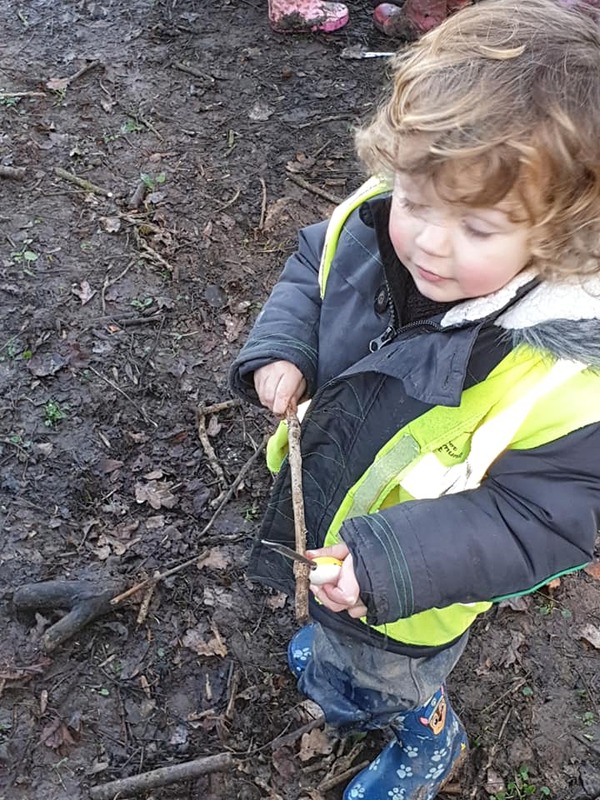 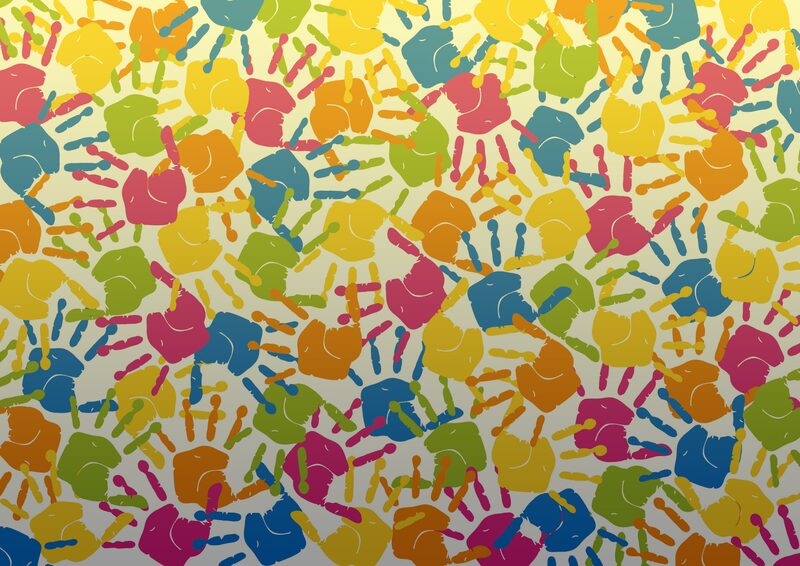 These are the skills which will enable the children become successful learners as they progress through formal education: which will allow them to be masterful students, ready to take on any challenge themselves, rather than helpless learners. 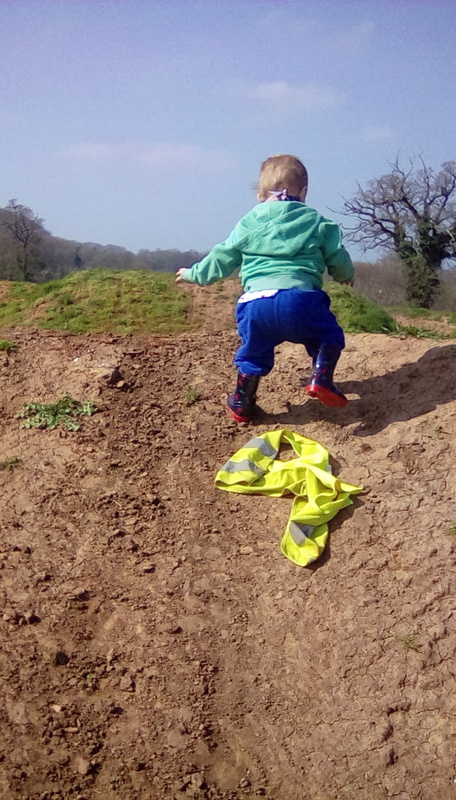 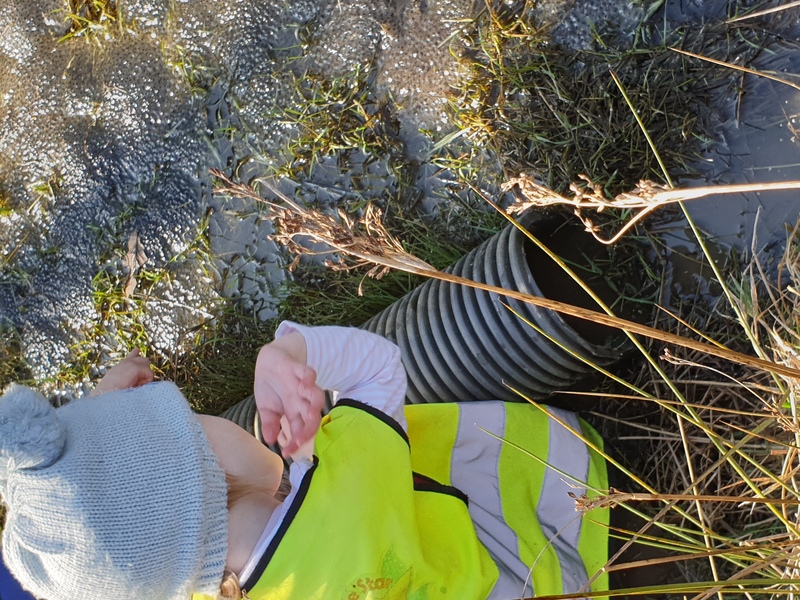 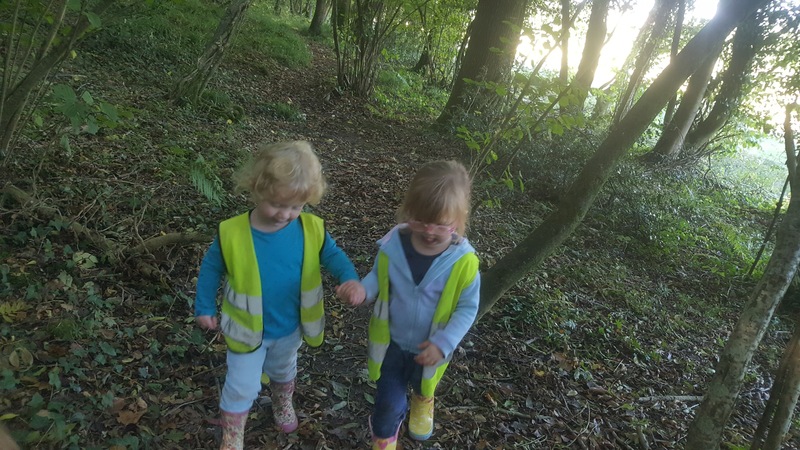 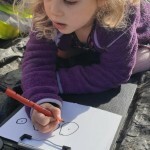 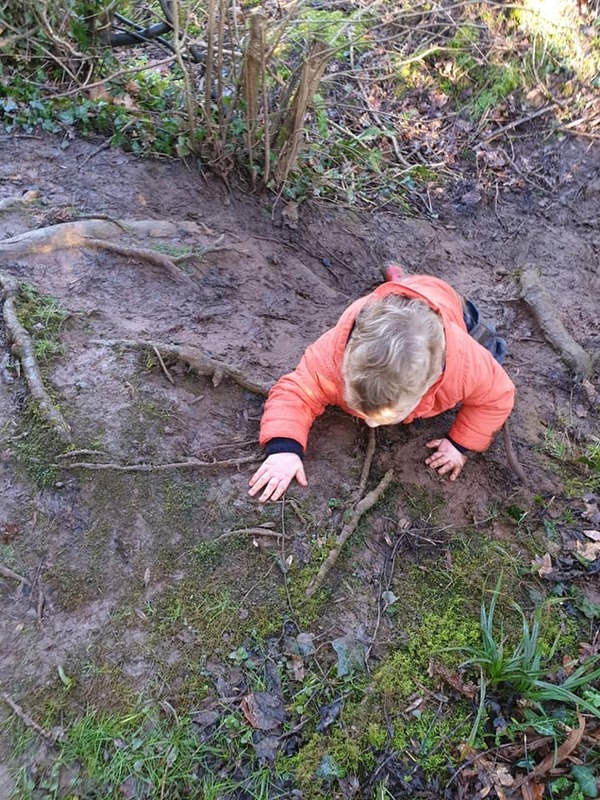 We want our children to think for themselves, to be tenacious, imaginative, resourceful, self- disciplined and self – aware and all of these skills are developed through play in the Great Outdoors. 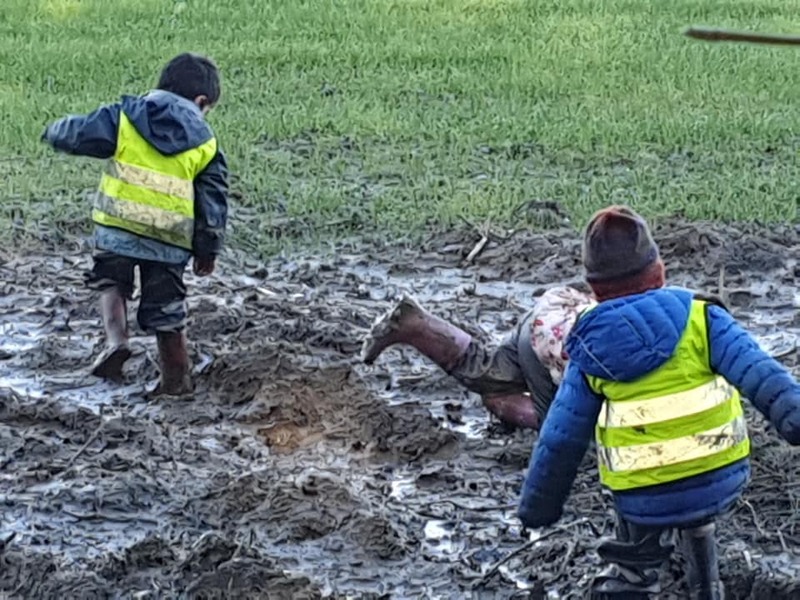 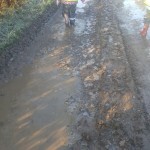 Let them fall over in the mud and allow them to pick themselves back up again. 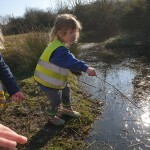 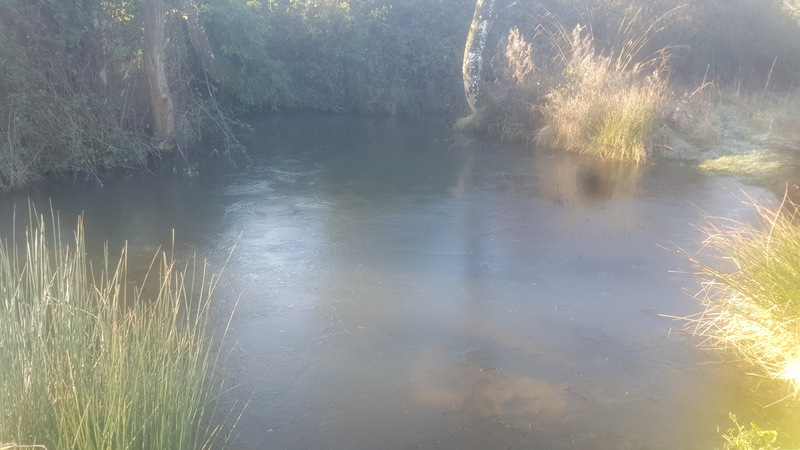 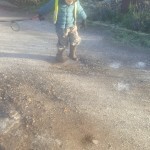 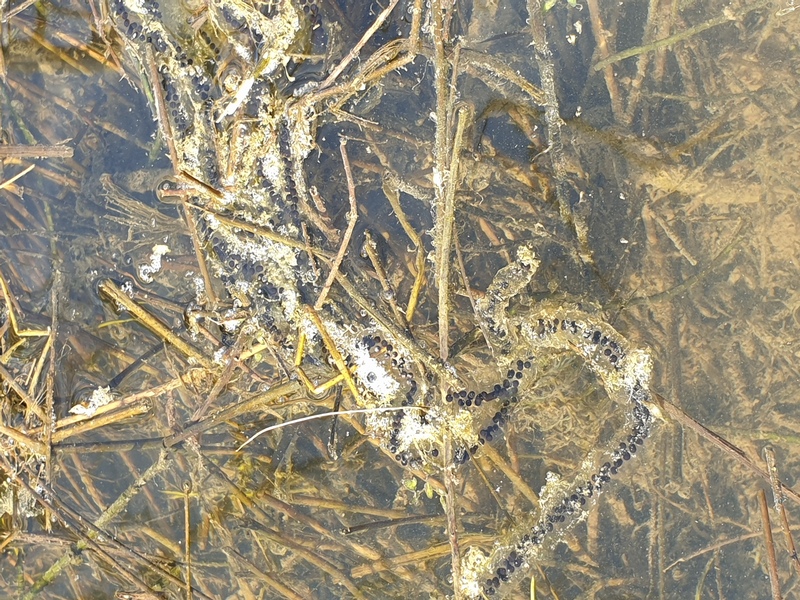 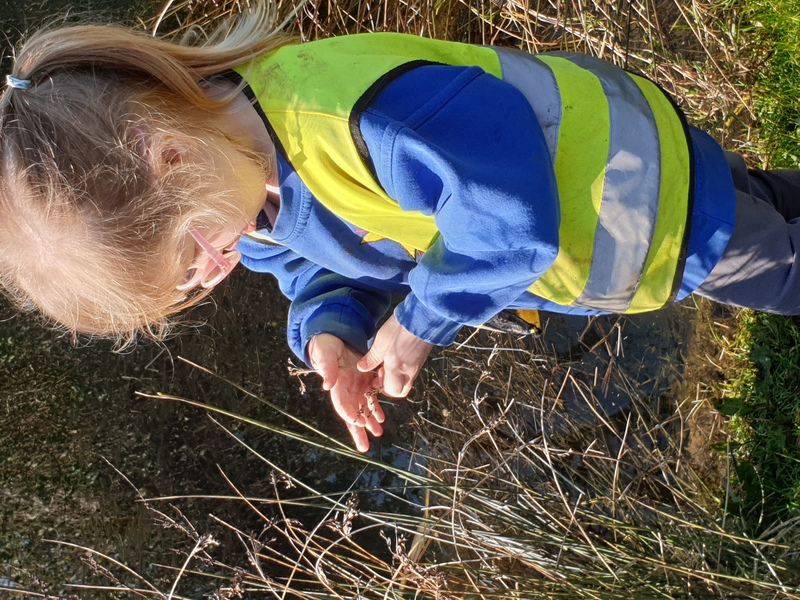 So a week of sun may have been a premature taste of Spring, but we still made the very most out of it, with days spent out in the warm temperatures and even the frogs have been fooled by the weather as our visit to the pond discovered some early frogspawn. 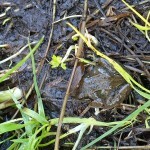 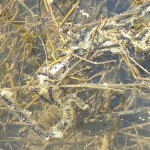 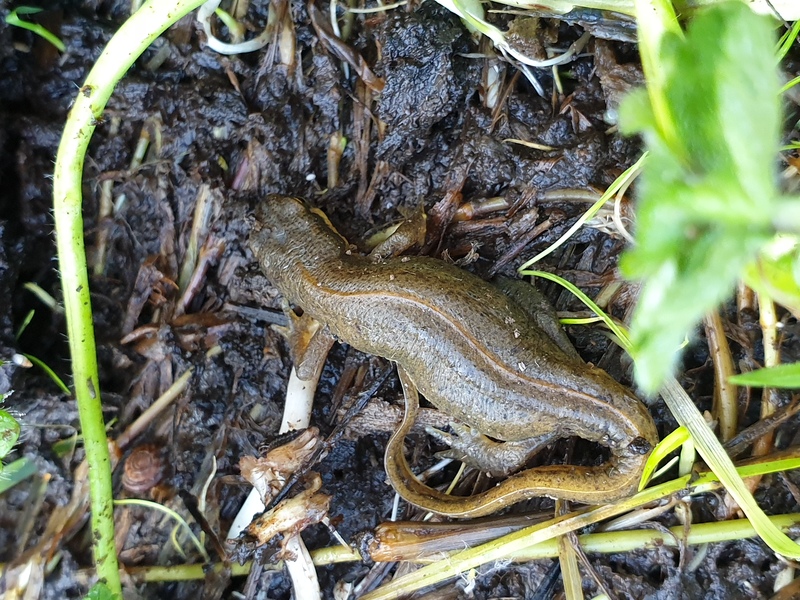 Uncovering logs revealed a frog and a “lizard” (a newt). 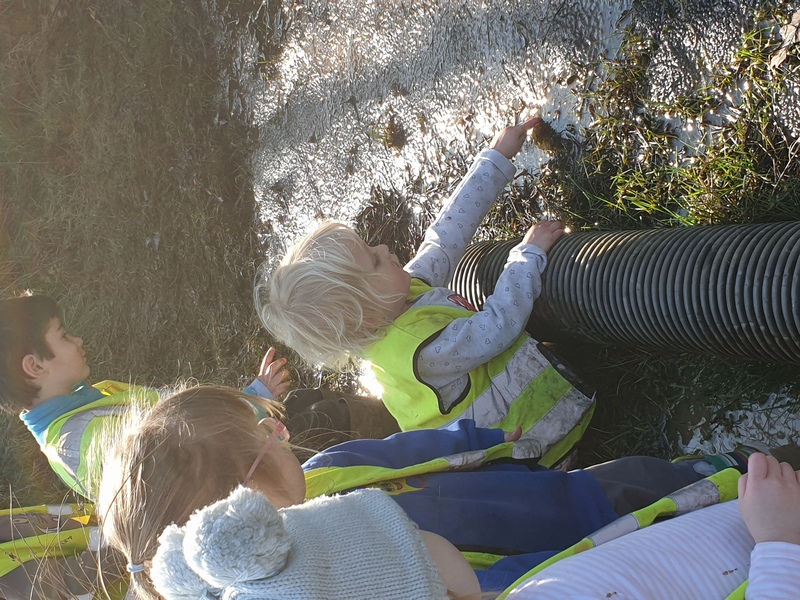 Once again, the opportunity to witness change and growth in this way is such a beneficial way for the children to learn and experience the world around them. 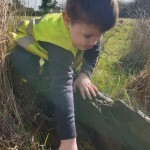 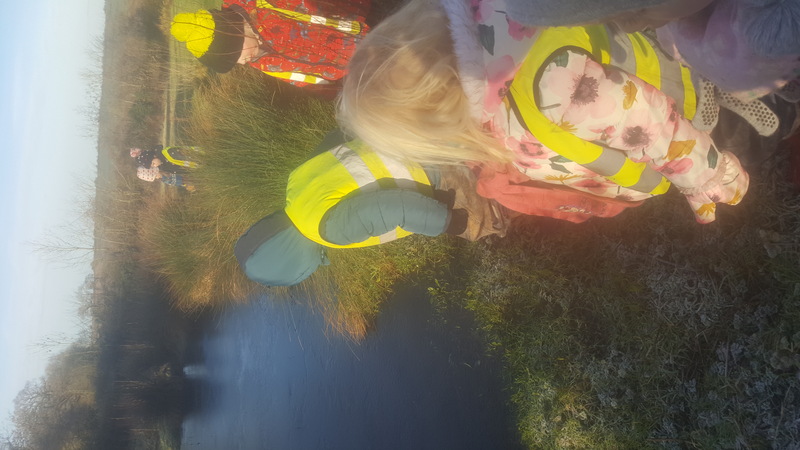 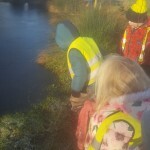 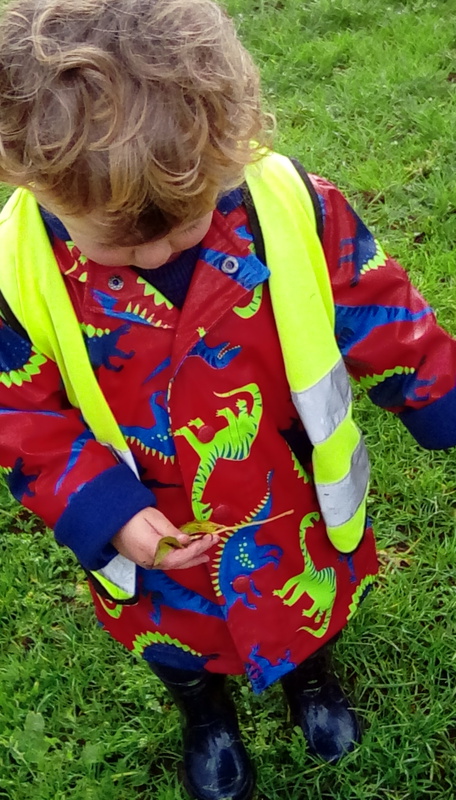 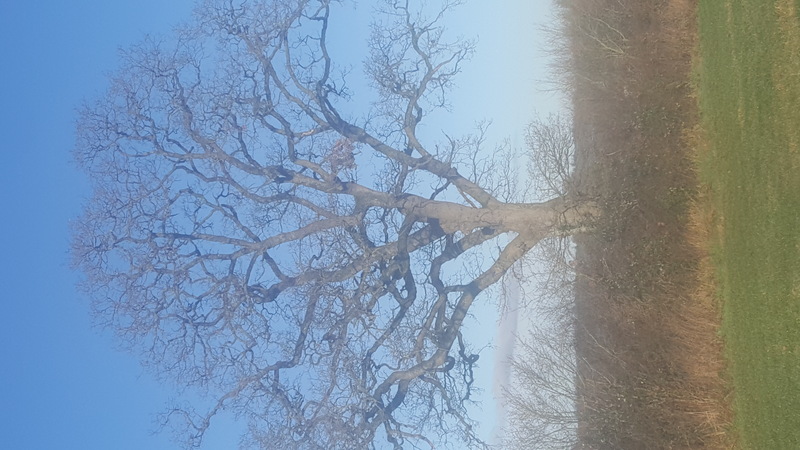 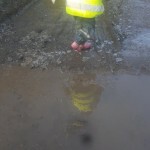 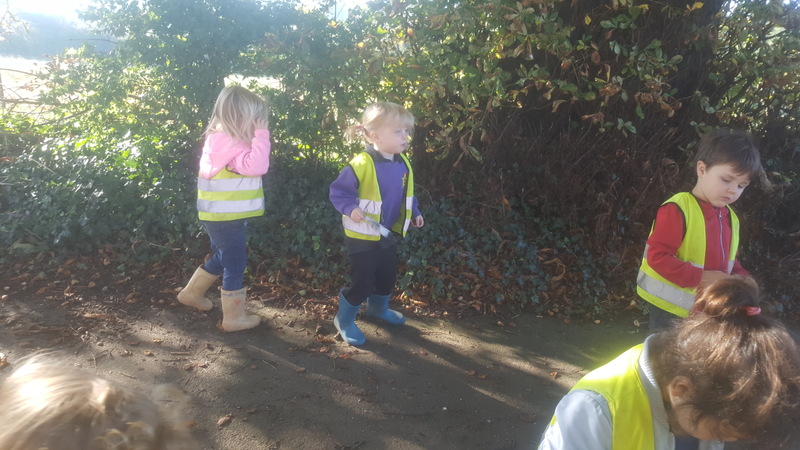 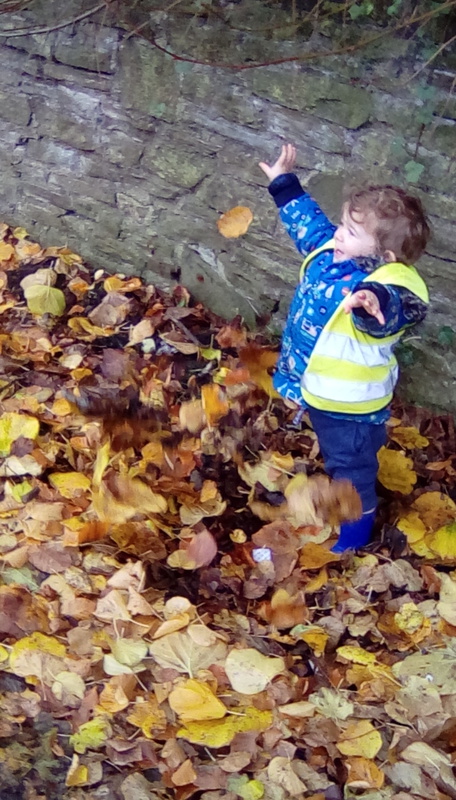 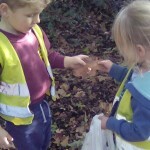 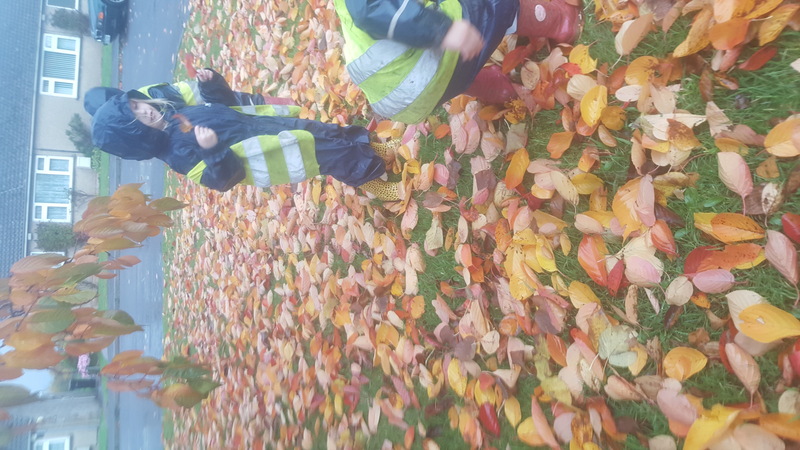 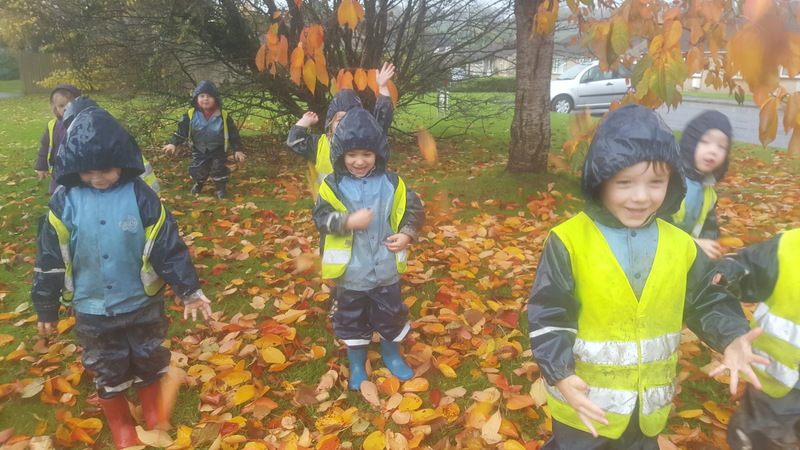 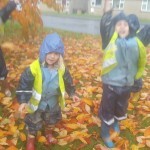 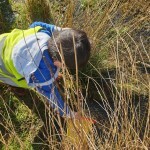 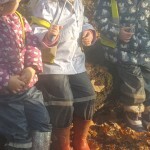 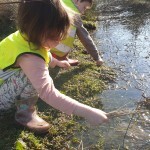 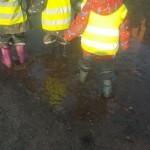 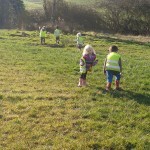 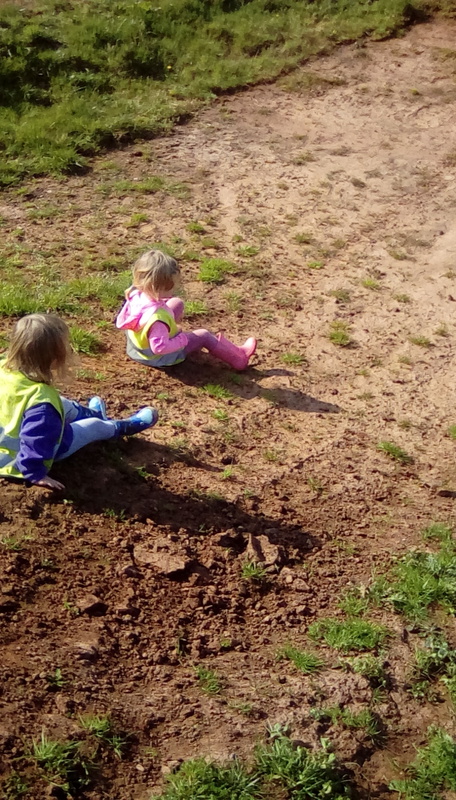 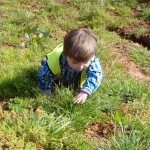 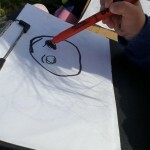 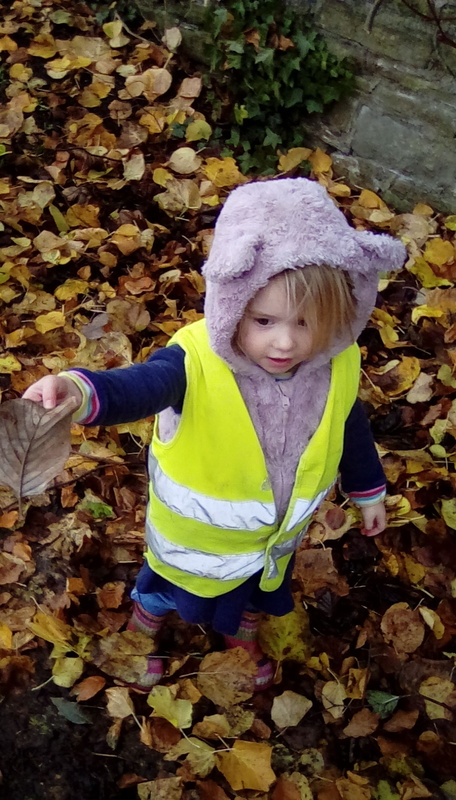 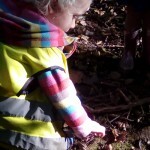 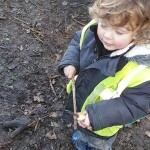 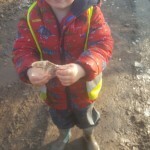 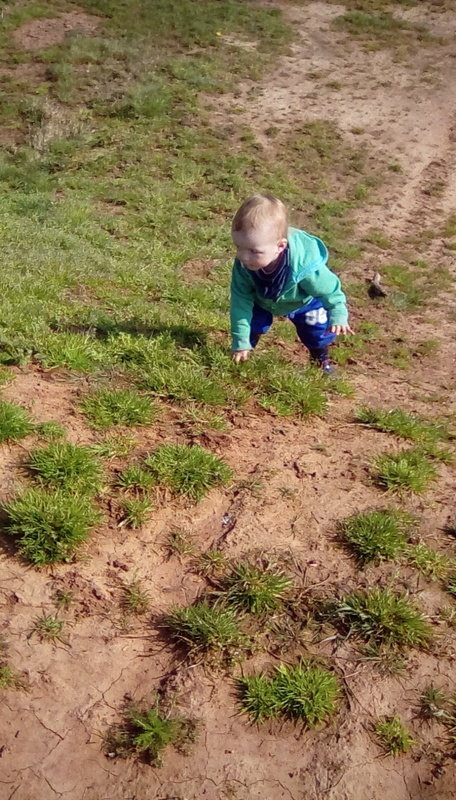 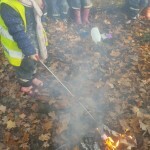 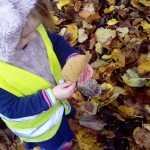 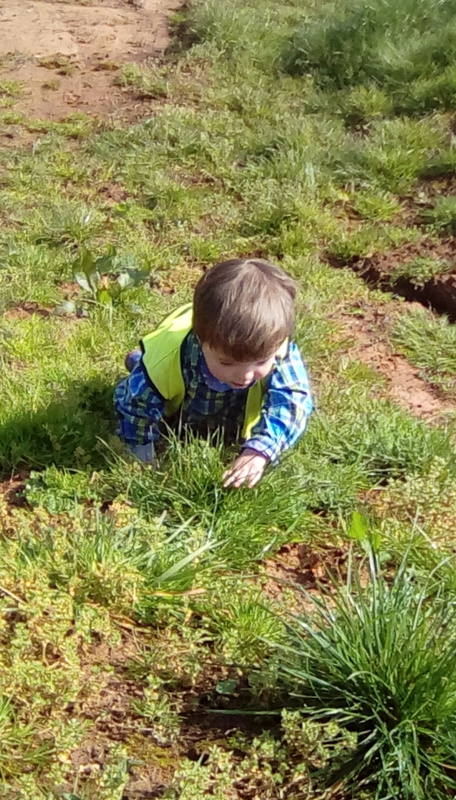 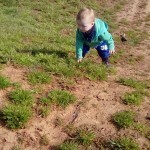 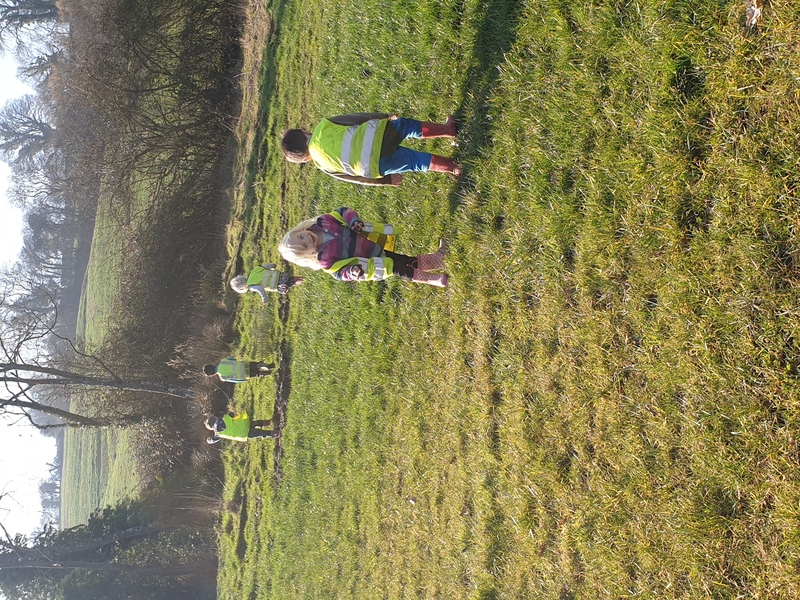 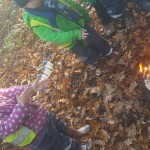 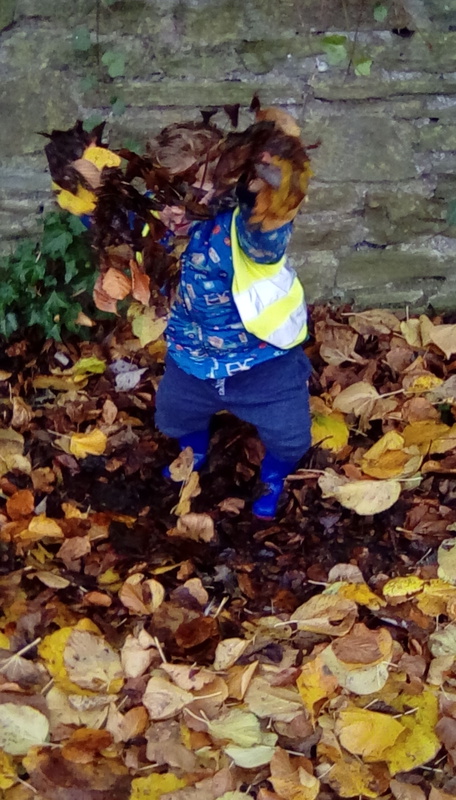 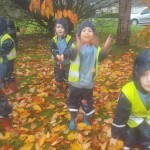 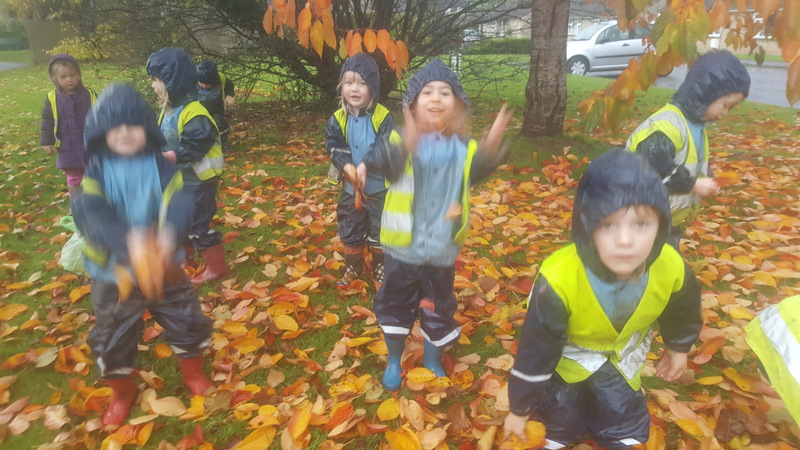 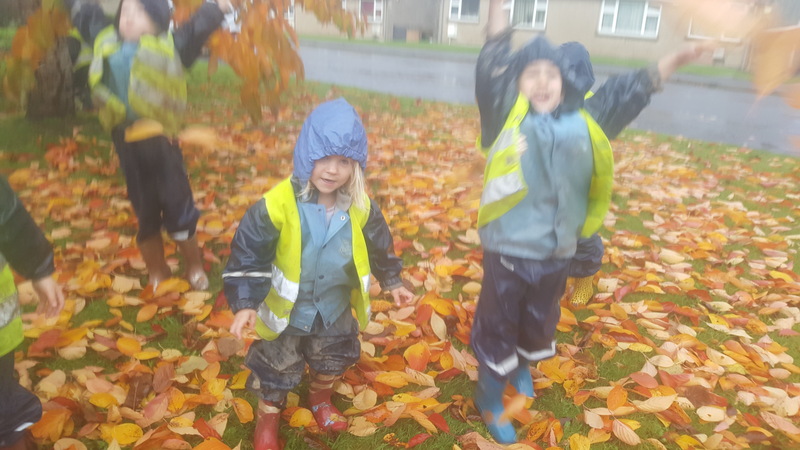 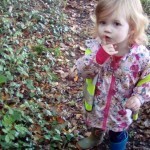 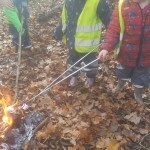 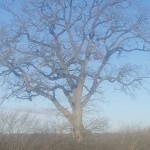 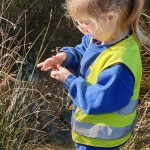 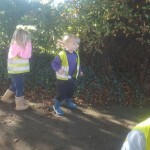 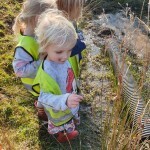 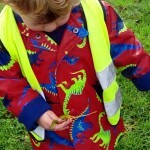 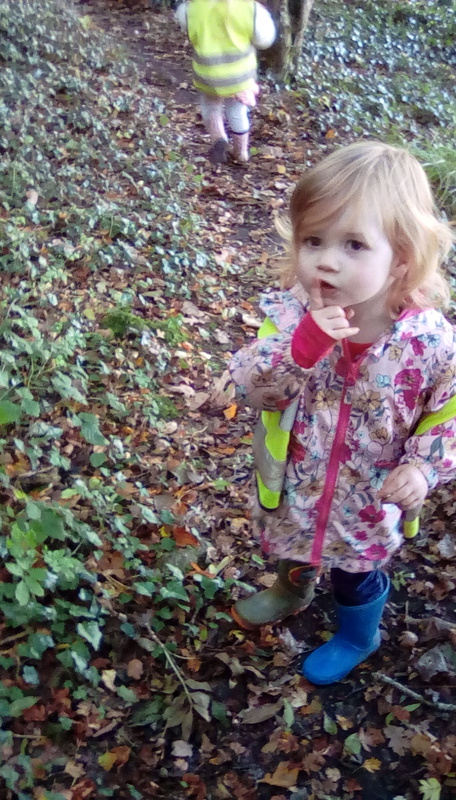 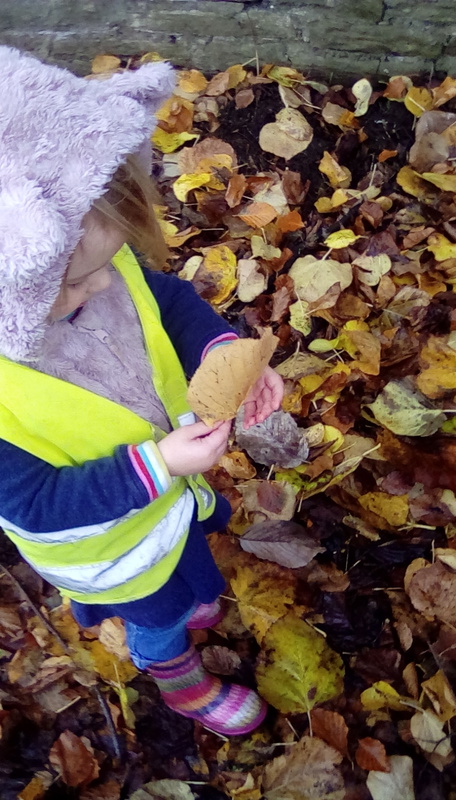 As I have talked about before, being able to get out into the natural world around us gives the children first hand experiences of changes of the season as well as growth, decay, time, as we observe the living world that we share. 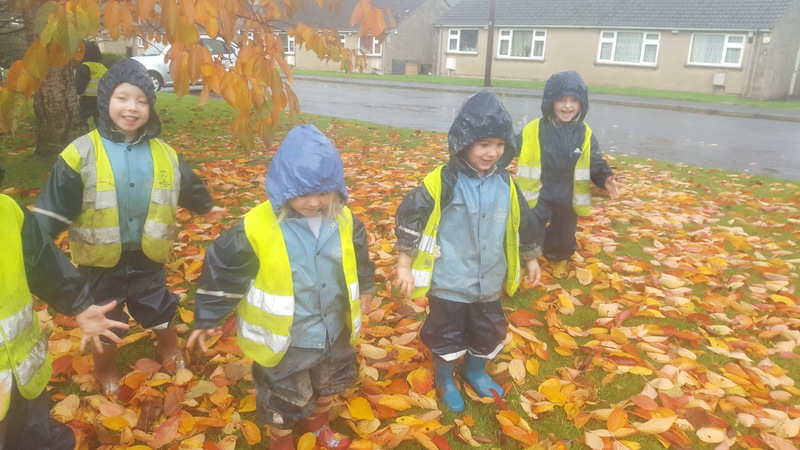 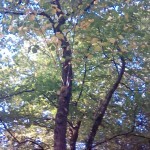 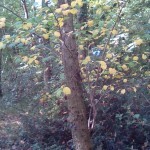 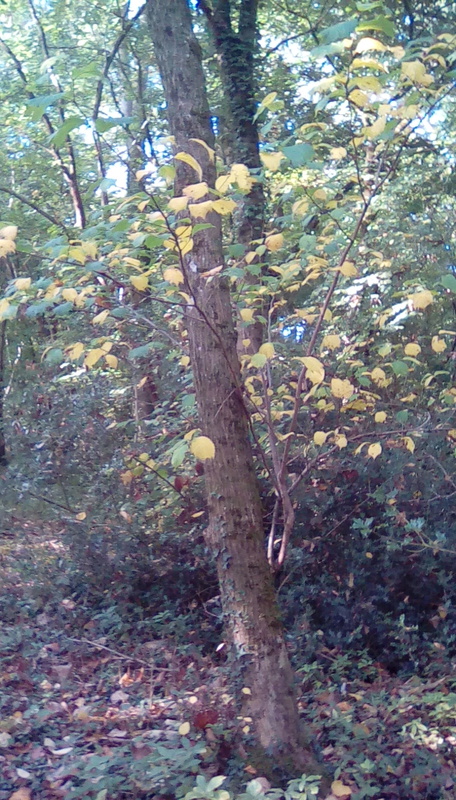 We try to visit the same places and record the changes each month, as we have been doing looking at trees as they change. 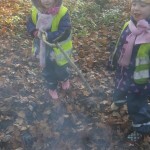 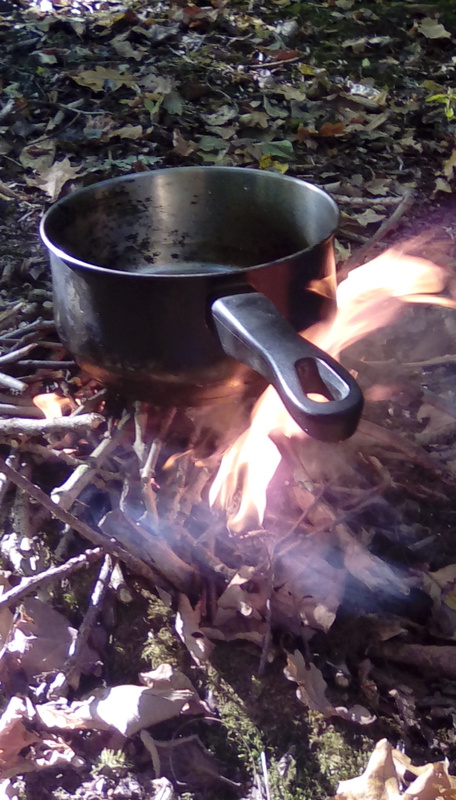 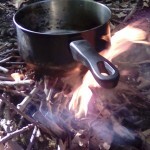 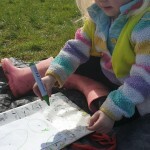 Who would have thought an icy walk or cooking cheesy wraps over an open fire was a maths lesson? 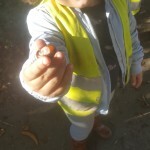 You would if you were a Little Star. 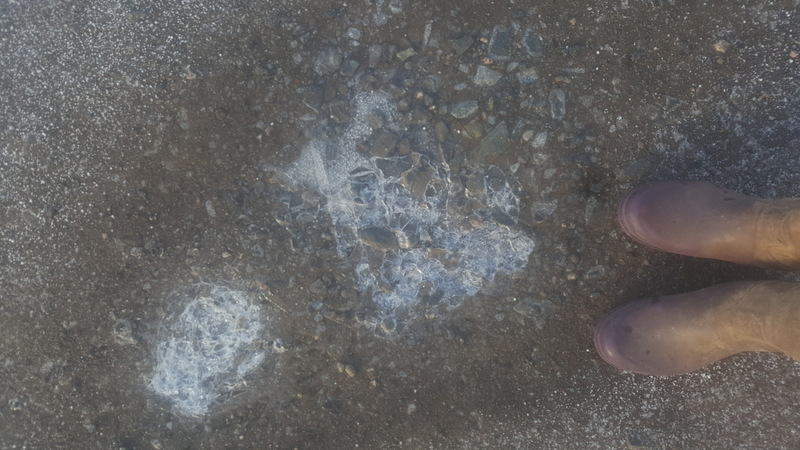 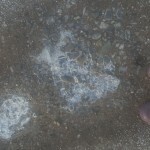 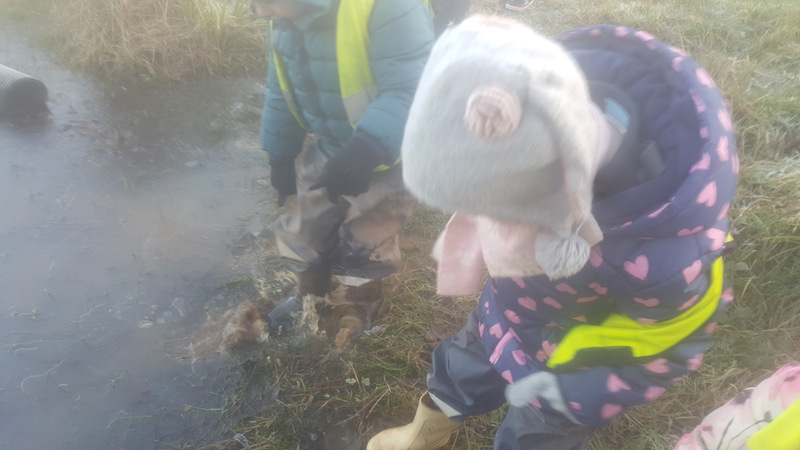 Finding different shape pieces of ice allows us to not only talk about the effects of the weather and changes in state to and from ice as the temperature drops or gets warmer but also about whether the pieces are a triangle, square, or rectangle. 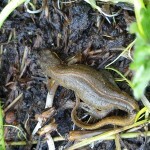 Some have been neither! 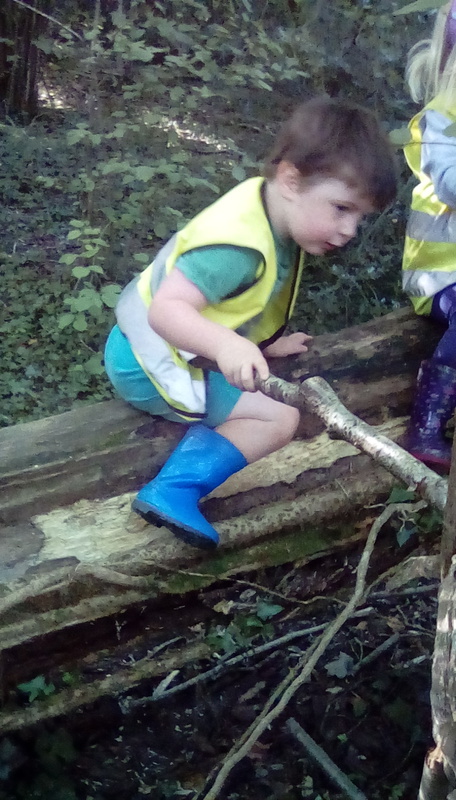 Other visits to the woods have been a swinging good time! 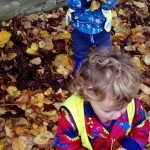 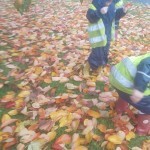 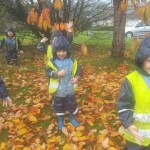 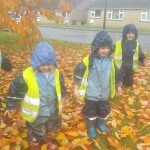 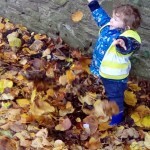 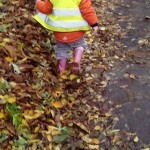 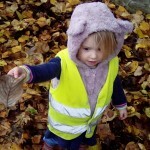 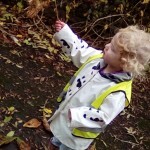 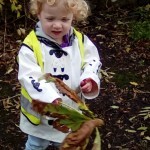 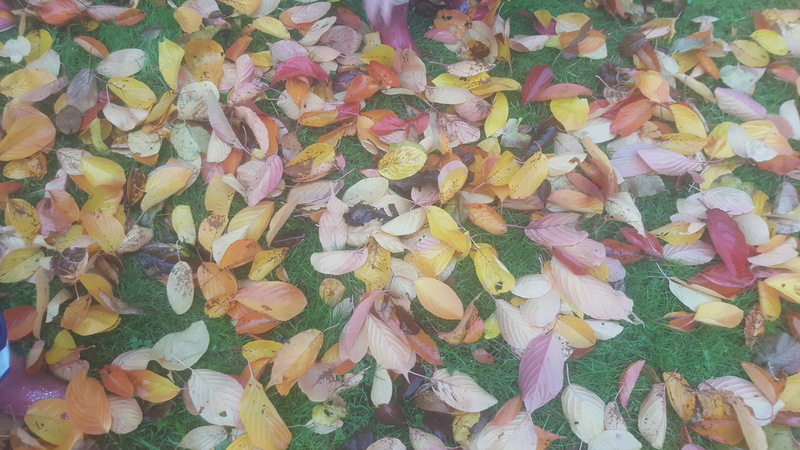 Autumn is my favourite time of the year to be outside with the children. 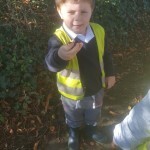 I think it the most visually educational as the children see changes happening almost weekly with the colour of leaves changing and discovering new and different things in the hedgerows from blackberries to conkers. 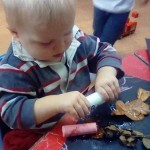 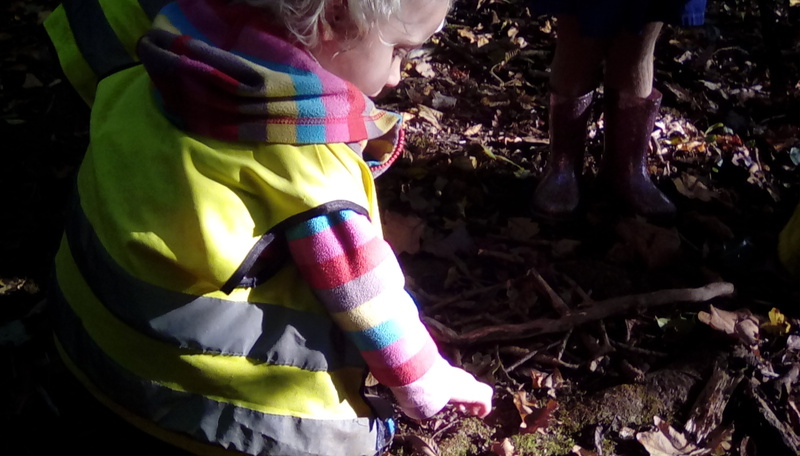 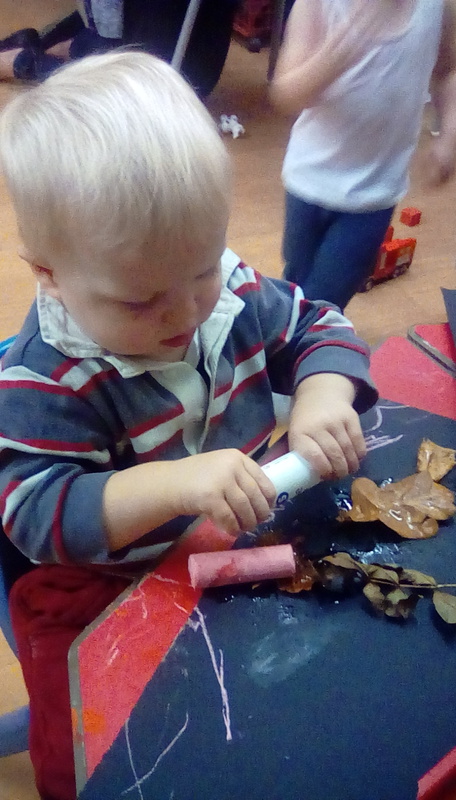 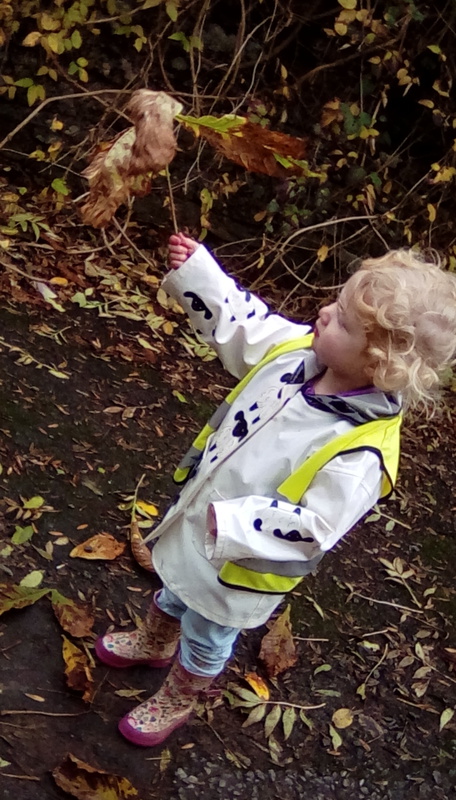 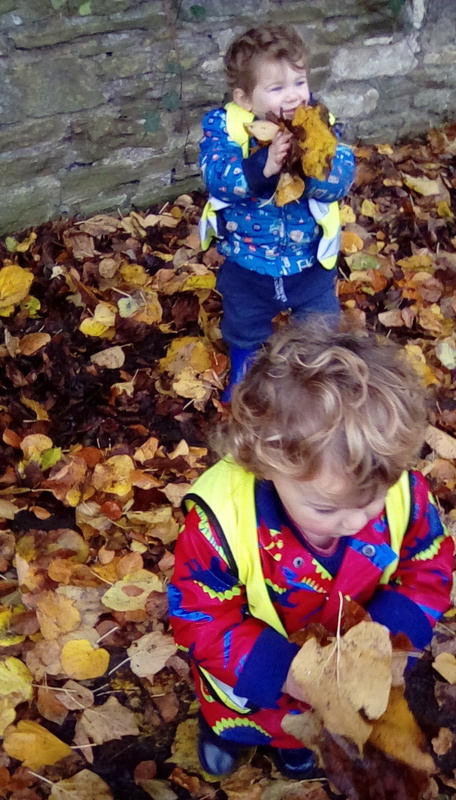 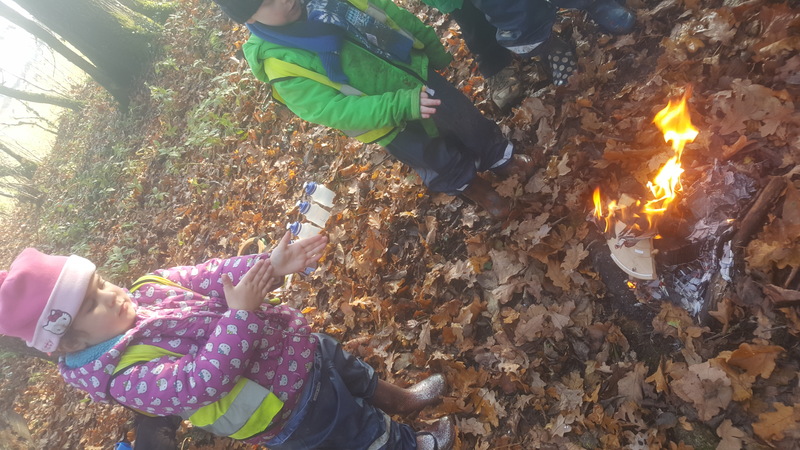 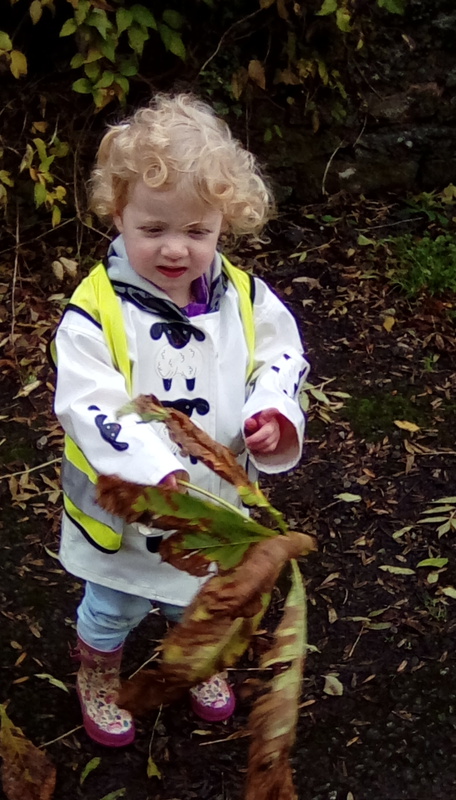 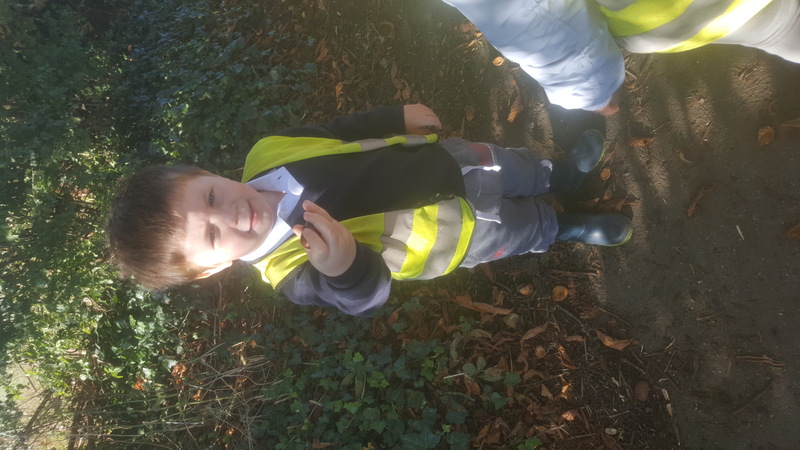 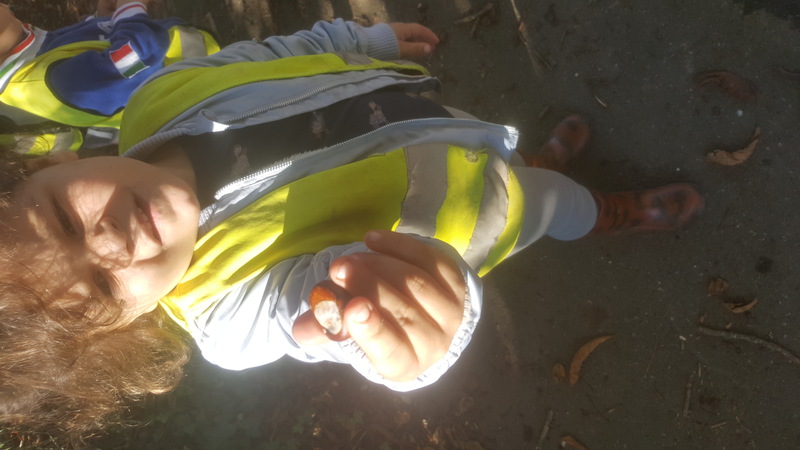 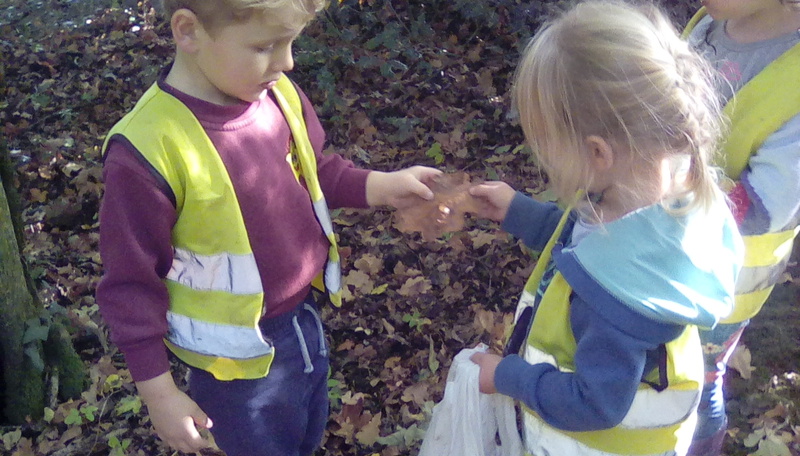 We’ve been having leafy walks and collected conkers to use back at nursery to explore our creativity with conker rolling, leaf printing as well as many visits to the woods. 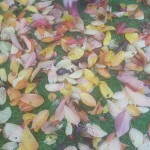 There really is no better way to appreciate the changing of seasons. 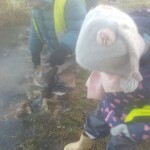 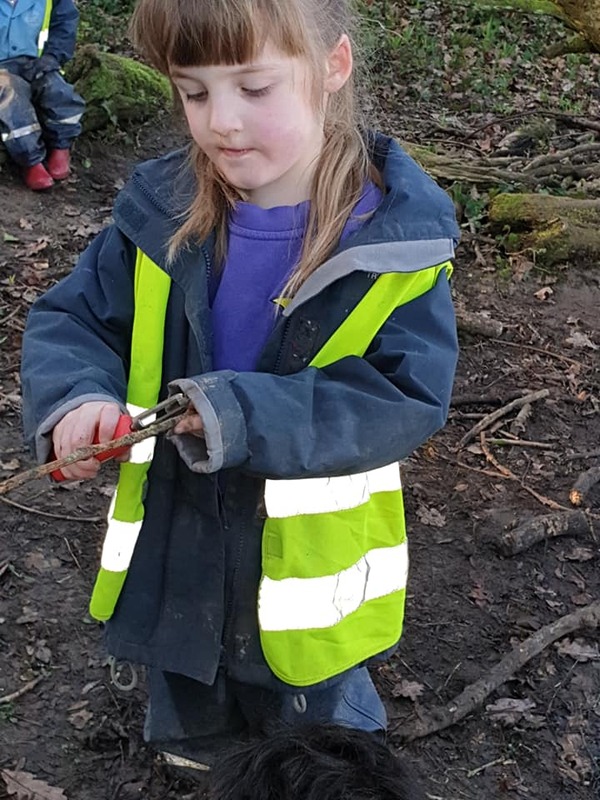 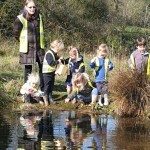 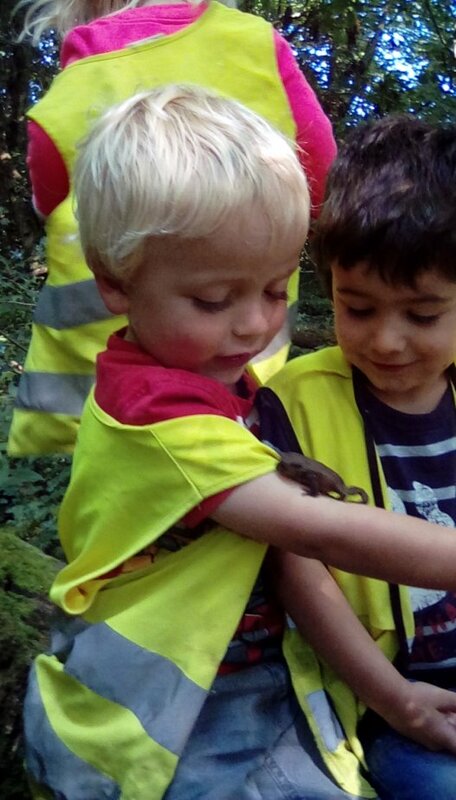 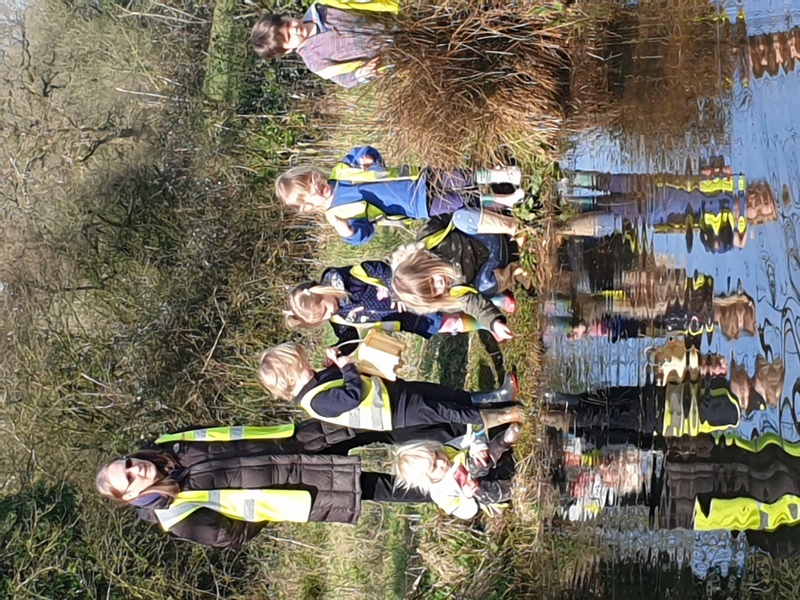 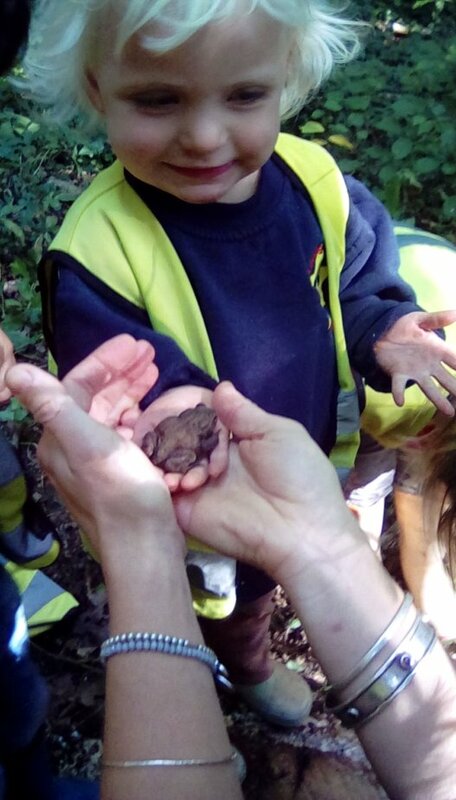 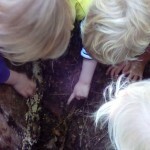 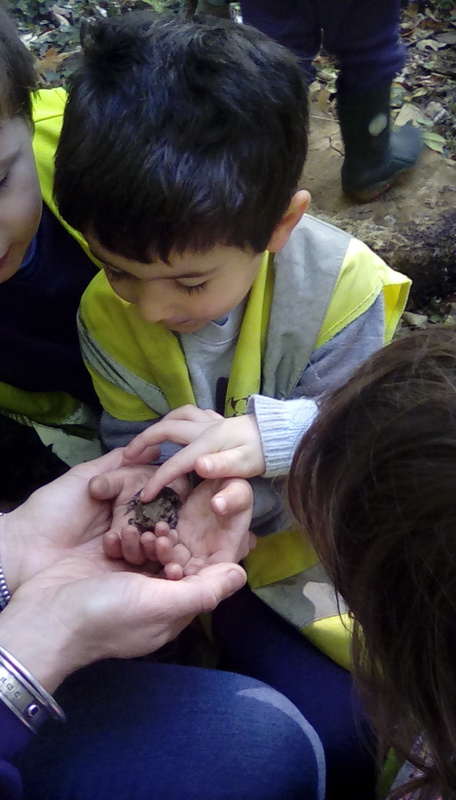 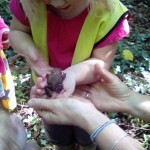 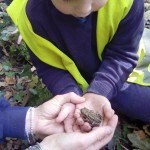 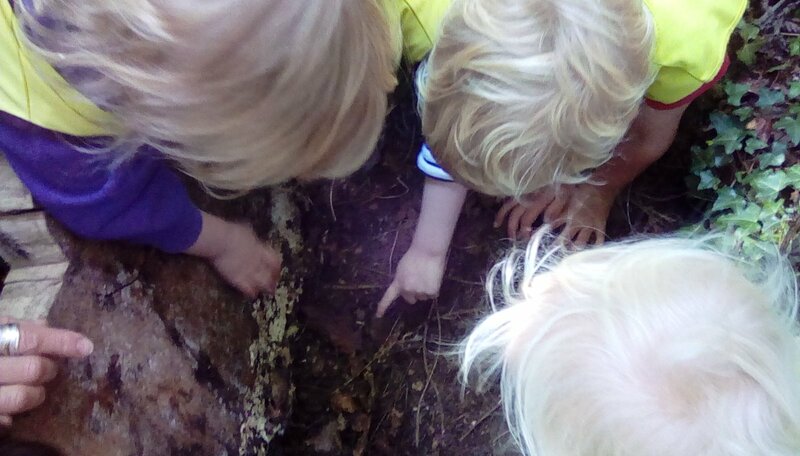 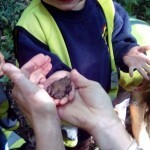 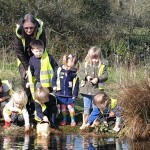 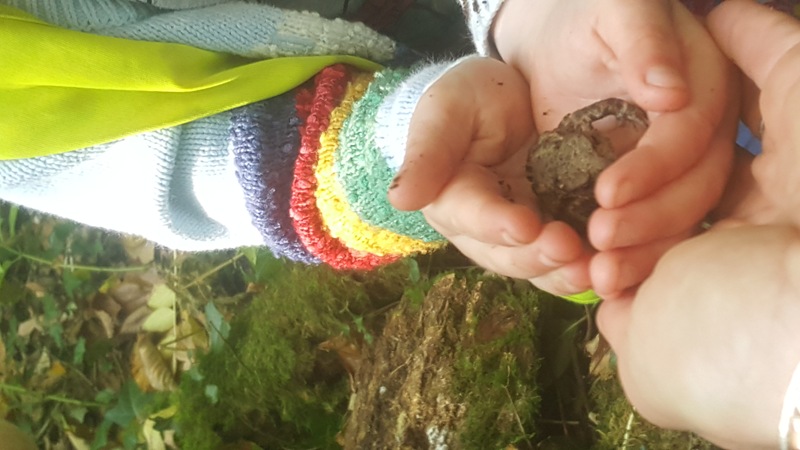 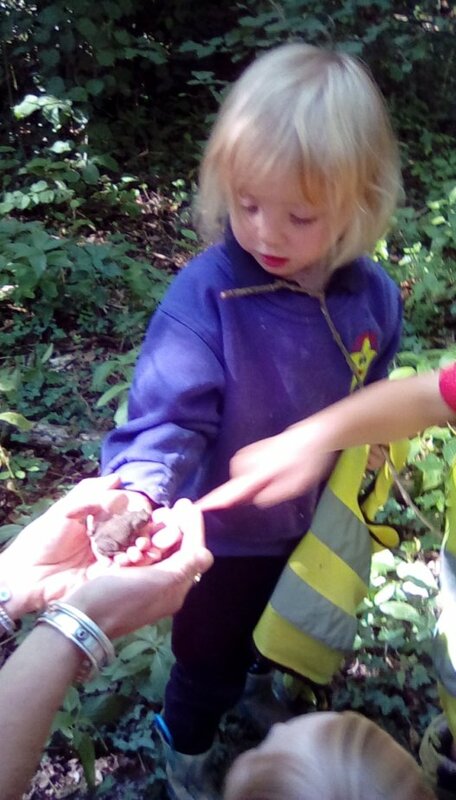 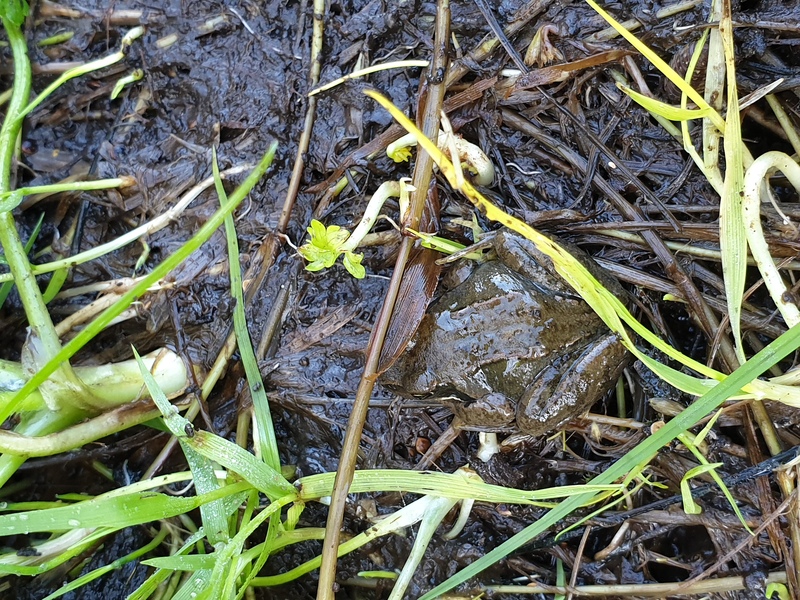 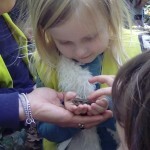 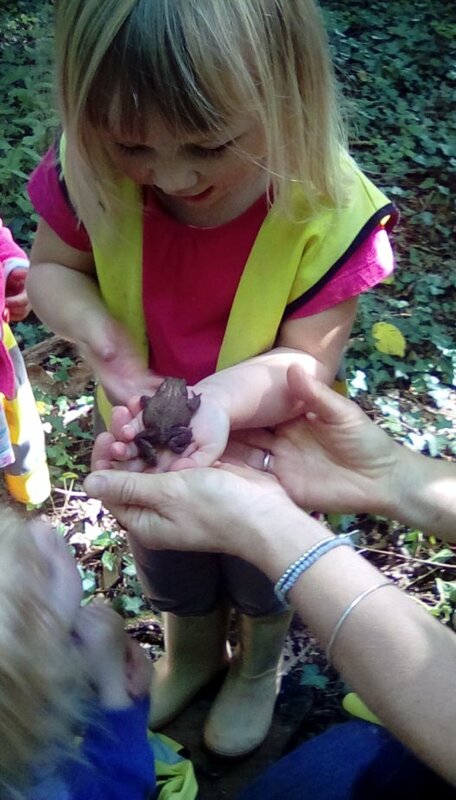 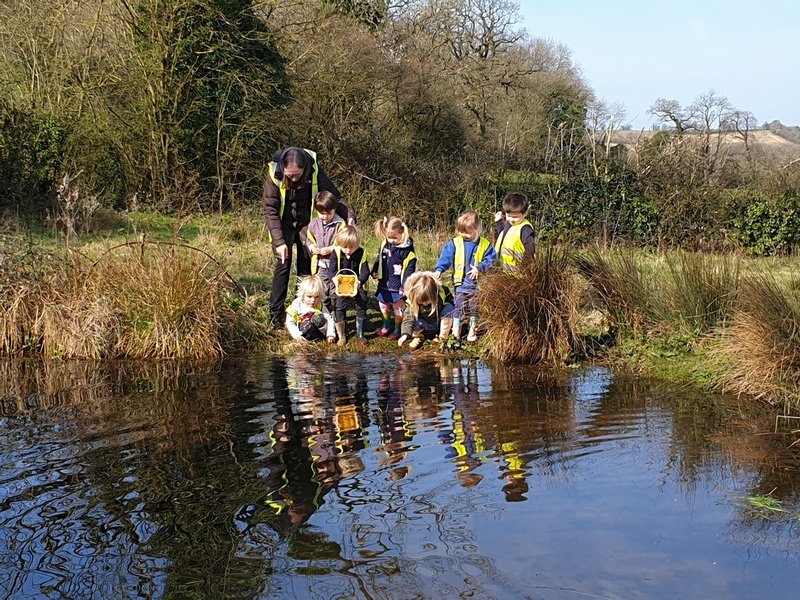 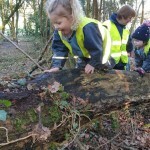 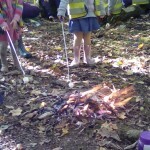 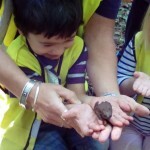 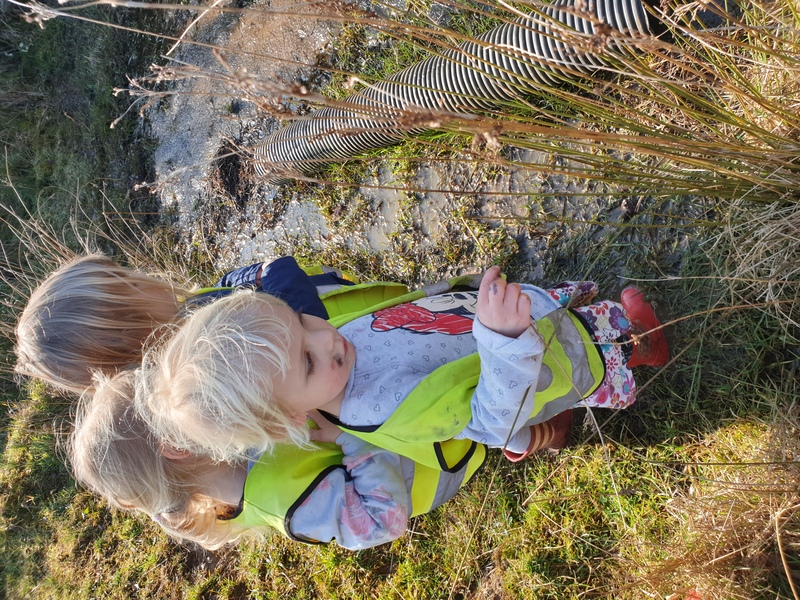 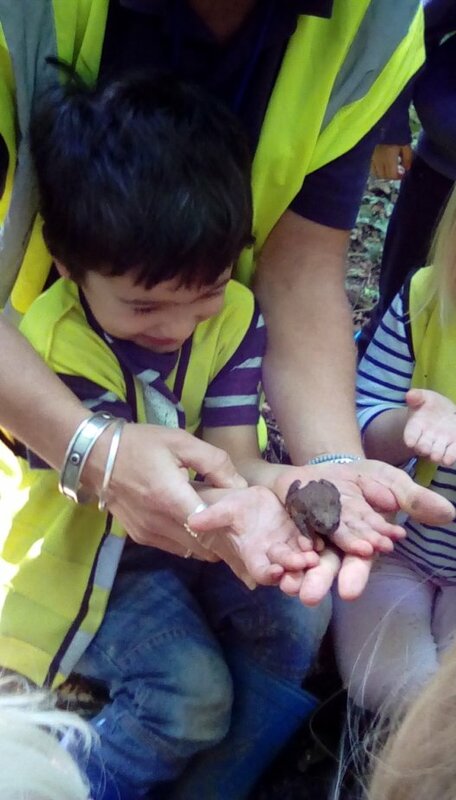 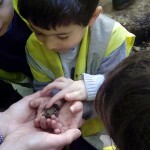 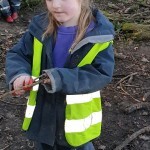 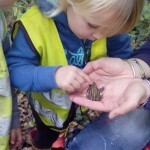 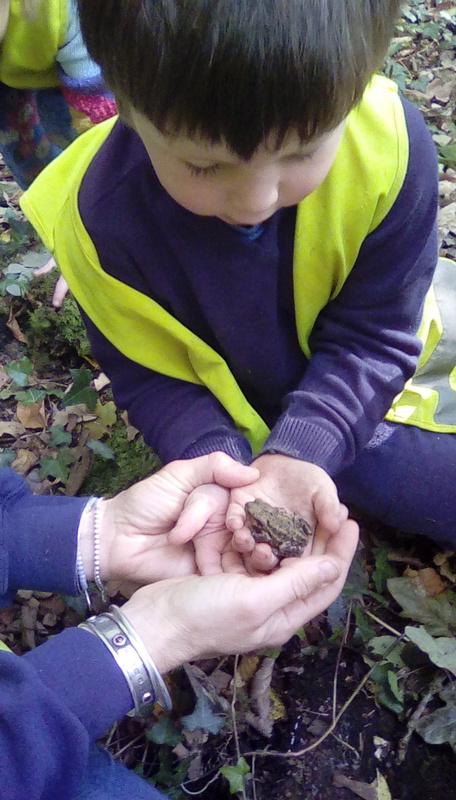 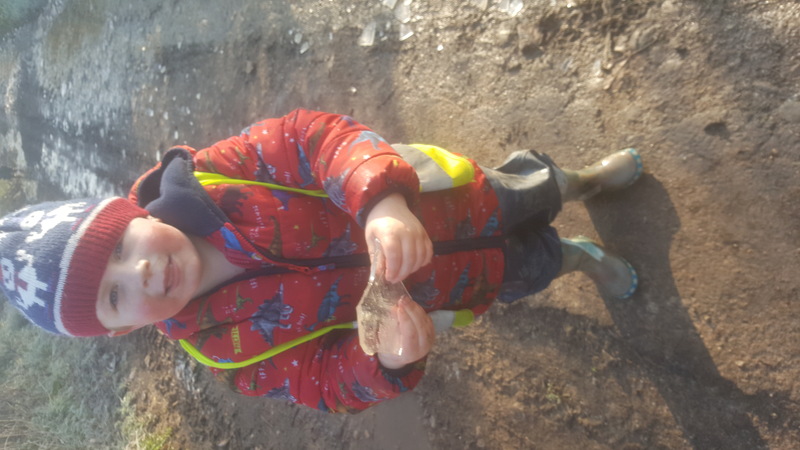 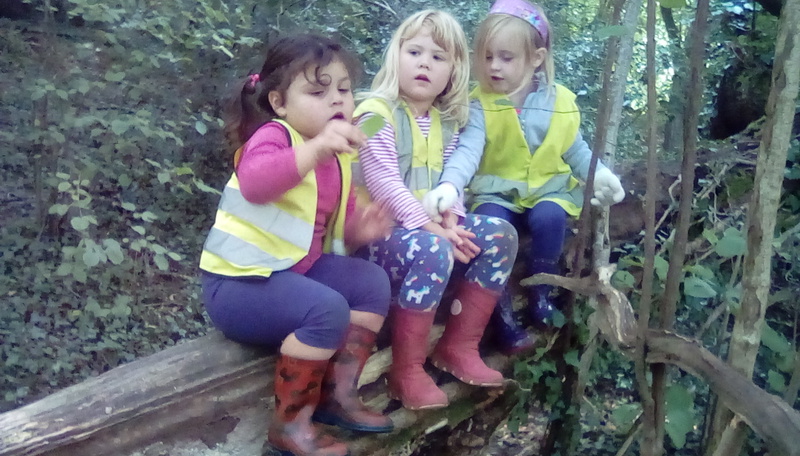 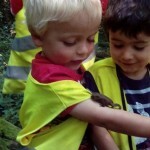 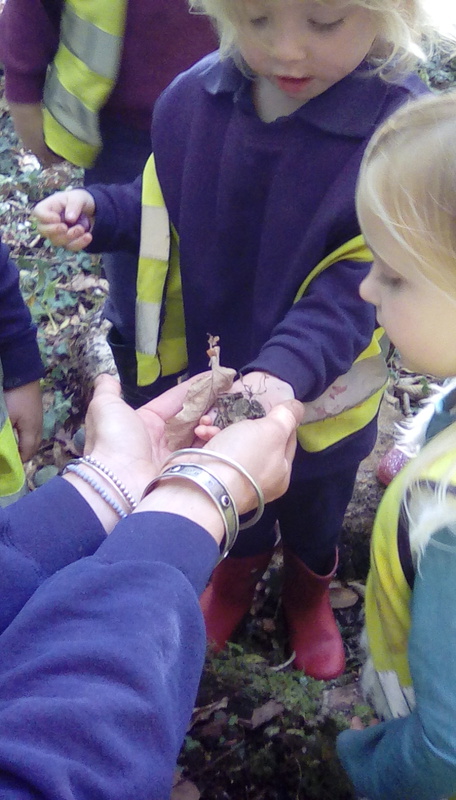 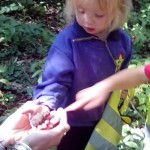 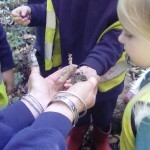 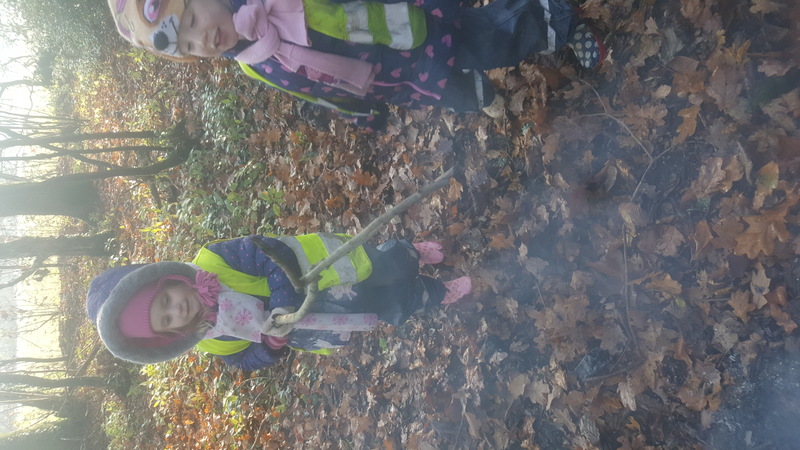 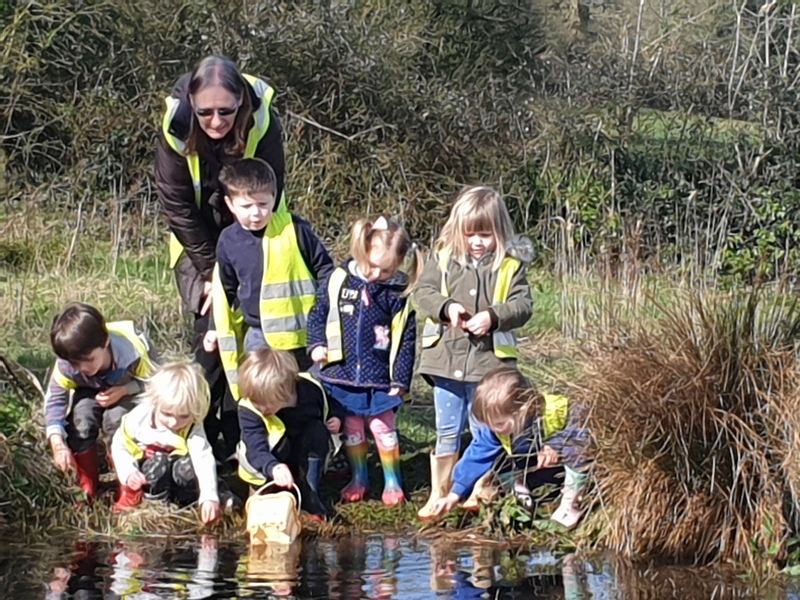 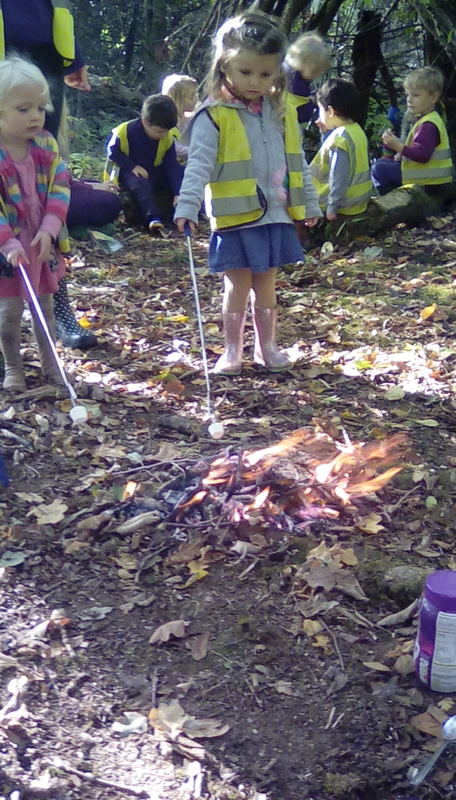 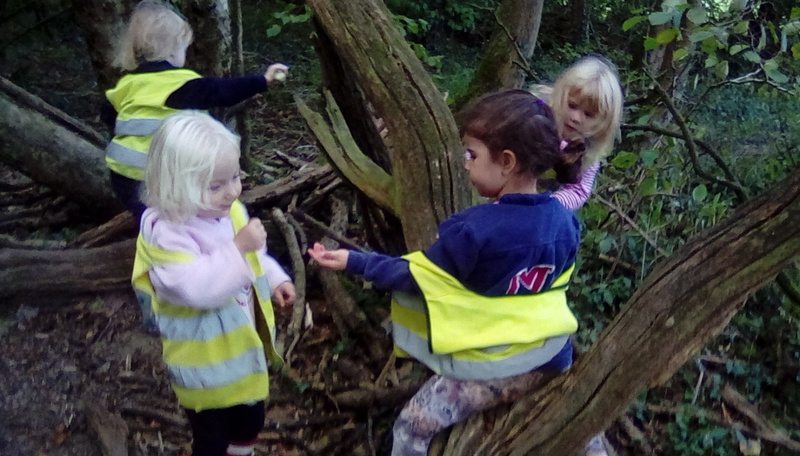 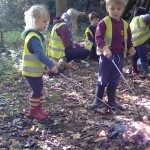 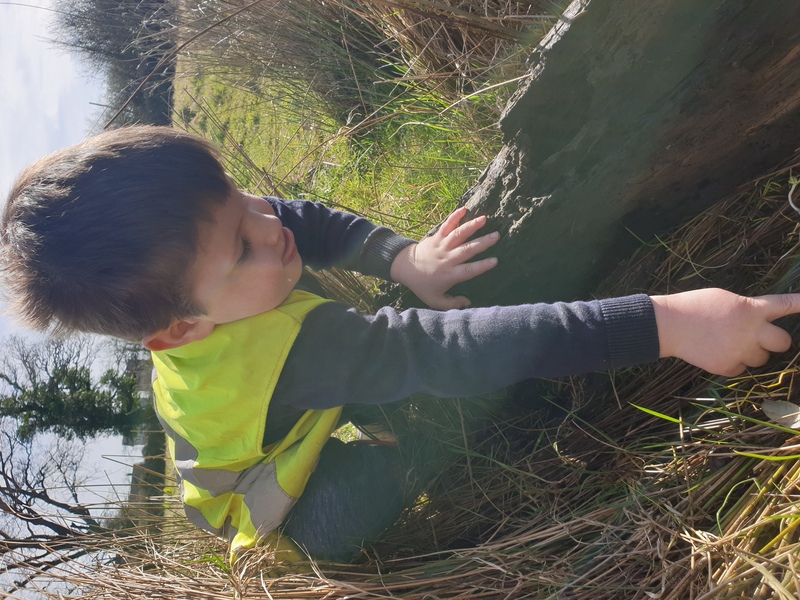 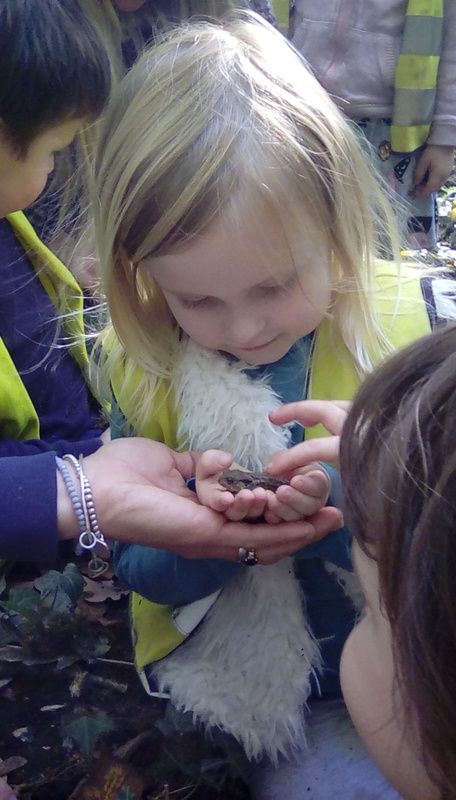 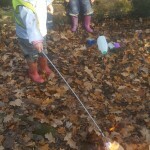 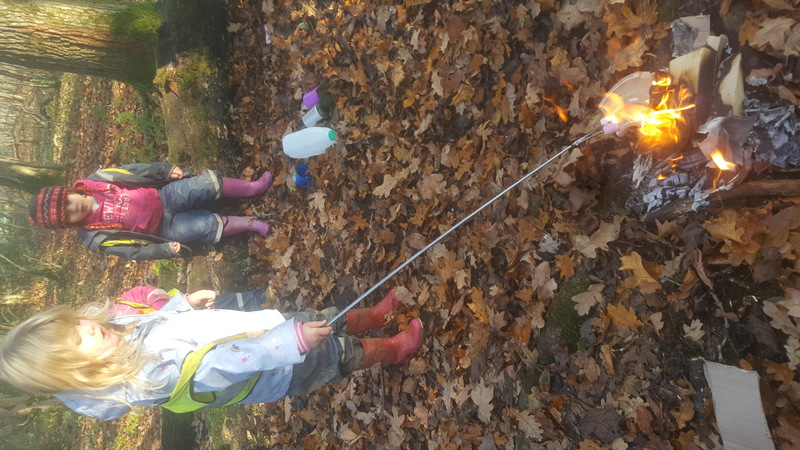 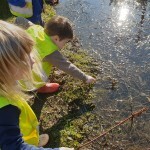 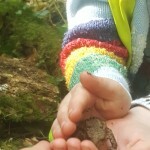 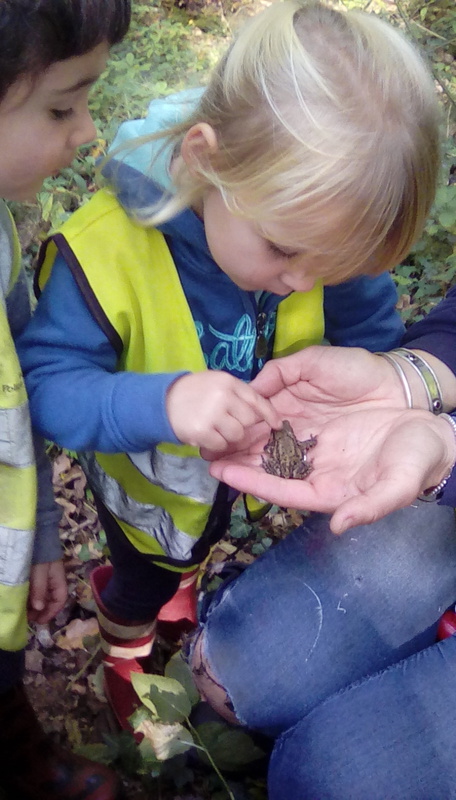 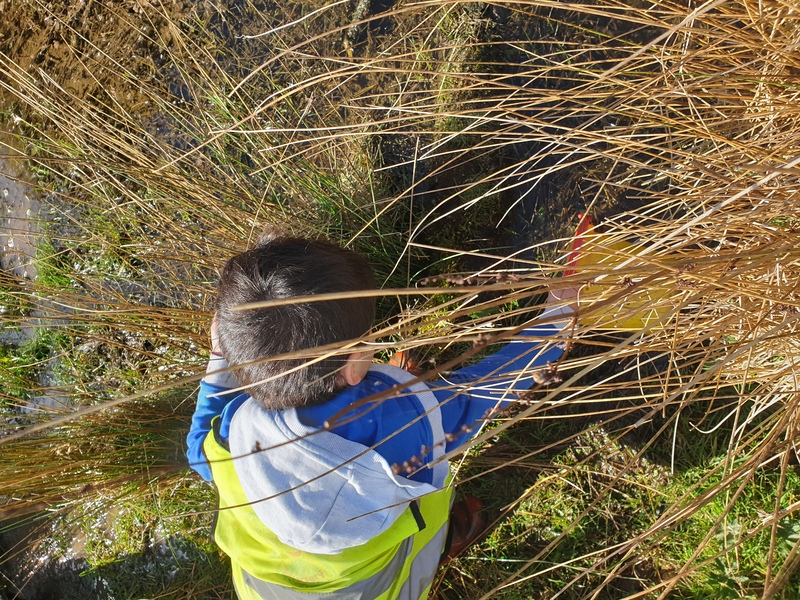 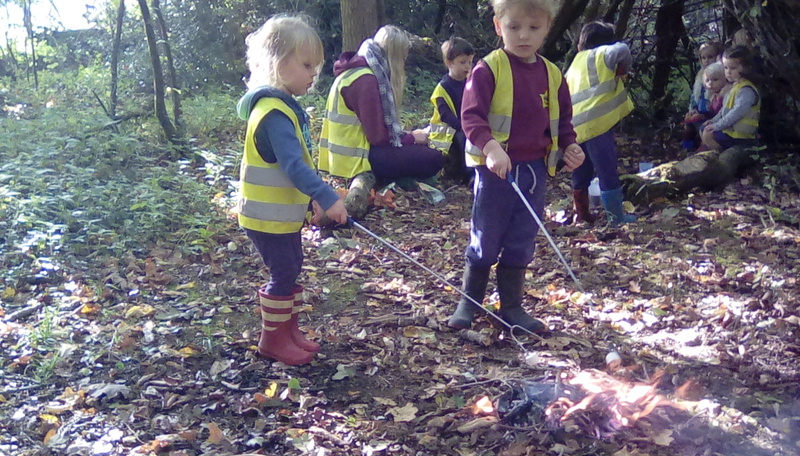 We have also discovered wildlife that have shared the woods with us, not only beetles and woodlice under the logs but finding a frog and a toad was a delight and the children were able to examine the creatures up close and personal! 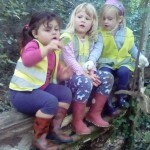 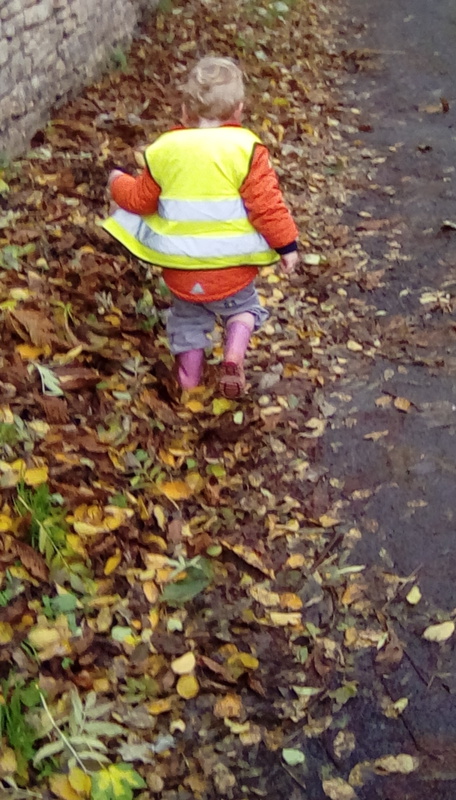 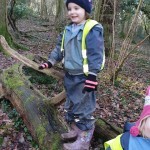 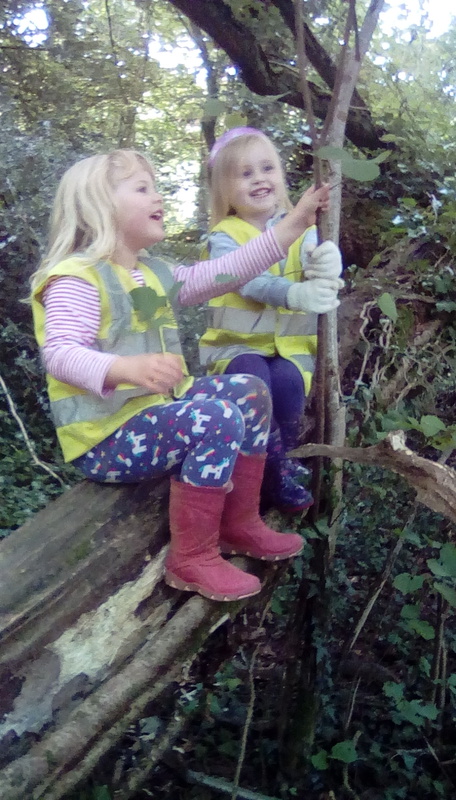 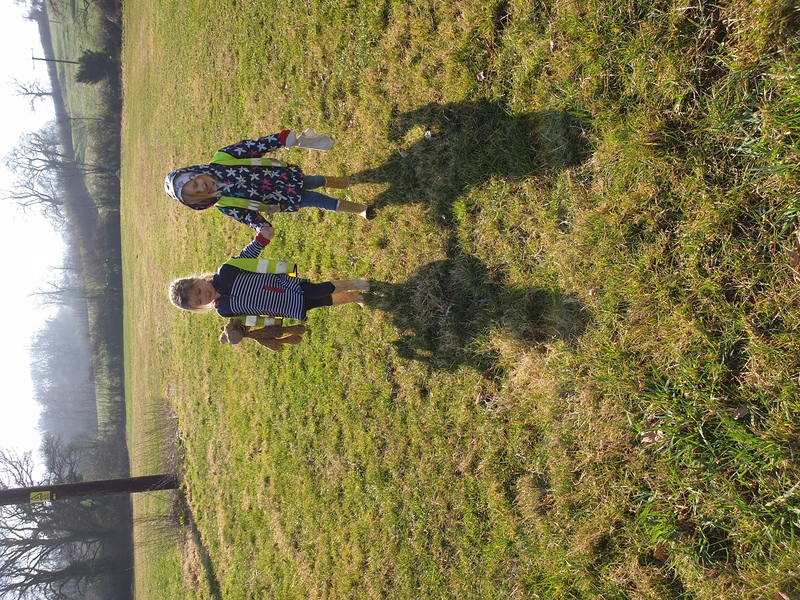 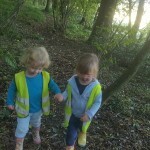 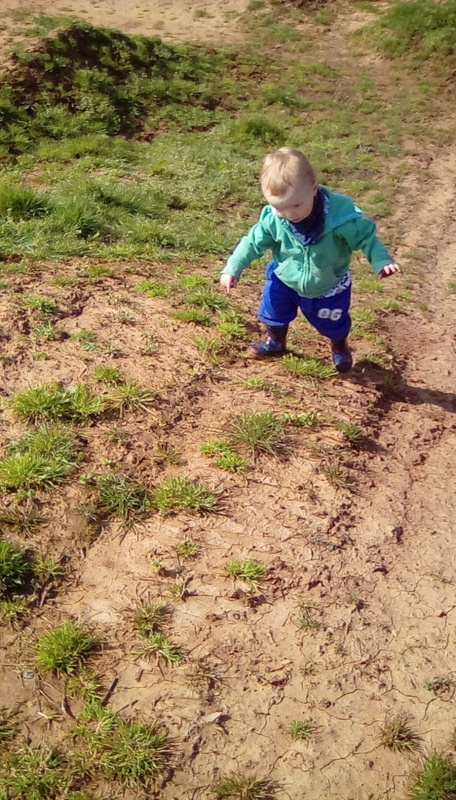 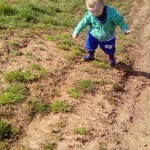 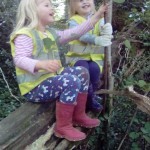 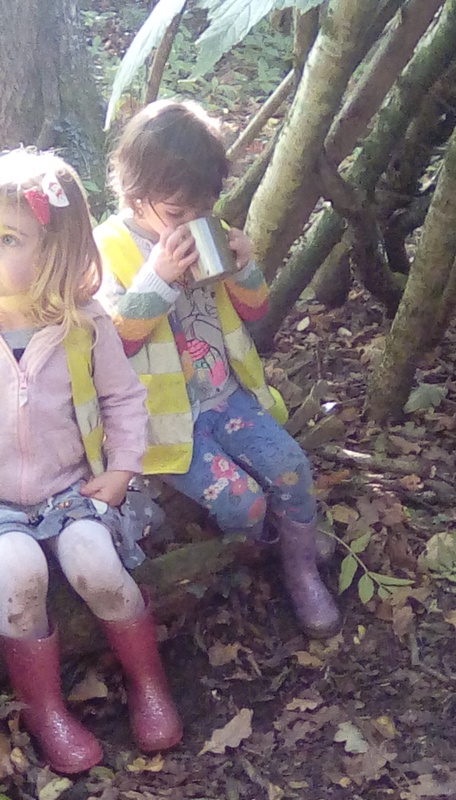 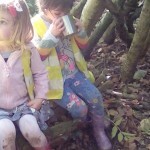 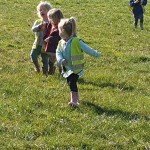 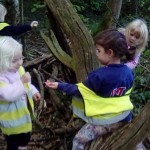 Being out in the woods or countryside isn’t just about appreciating nature but also the environment offers a certain freedom for the children: freedom to run, to be loud, to be creative as they turn a tree trunk into a train or a shop. 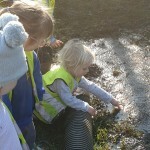 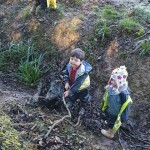 Ideas and story comes alive as we really can trip trap over rickety bridges or look for the Gruffalo. 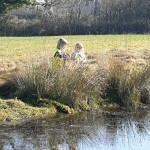 There is space to play as a large group or to take a moment to be by yourself. 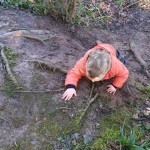 There are no prescribed ways of doing things; no right or wrong answers. 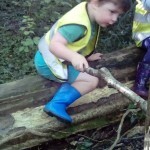 Play offers physical as well as mental challenge. 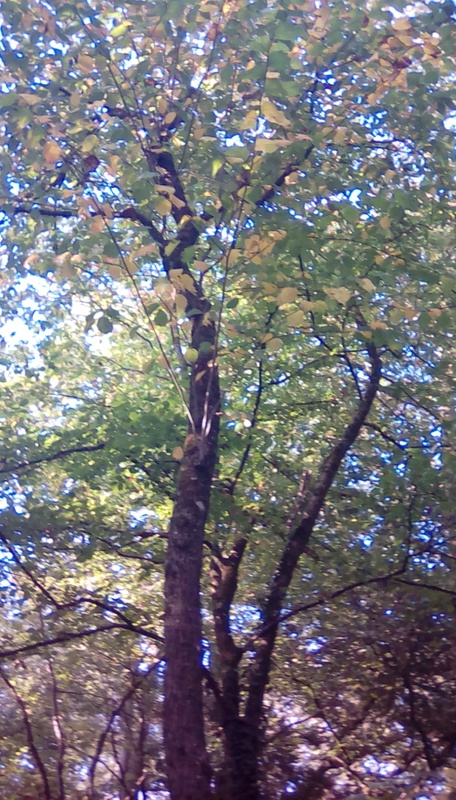 We listen: to each other, to the birds or the wind in the trees. 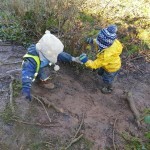 We play.